1 in 100 people have autism and we are showing 100 different perspectives in our Autism in Focus exhibition. At the beginning of this year, we asked people in the autism community what they wish others knew about being on the autism spectrum. 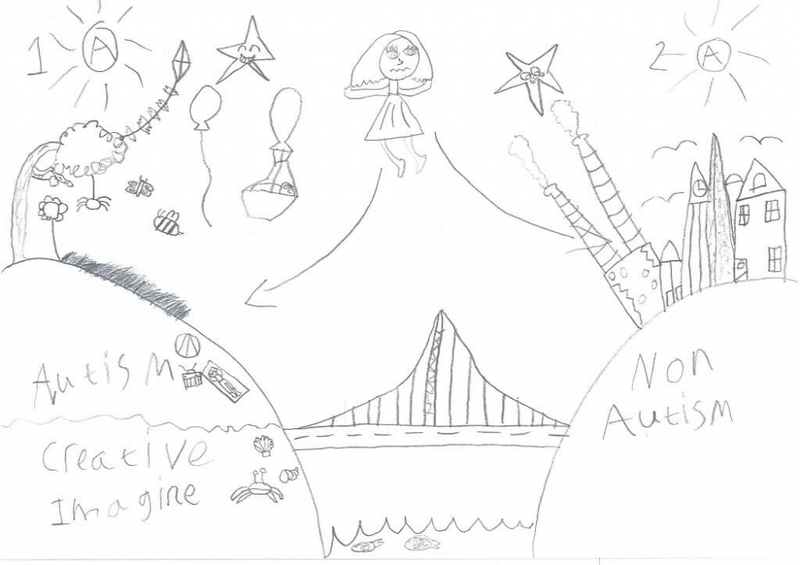 We received photographs and accompanying stories from 100 individuals and families who wanted to show the ‘real picture’ of autism. From the 2nd of September, we will be displaying the collection in the St John's Shopping Centre in Perth. Pop into the shop unit to view the exhibition at your leisure - it will be on display until the 27th September. Awareness of autism is important but we hope that this exhibition will encourage more understanding and acceptance too. 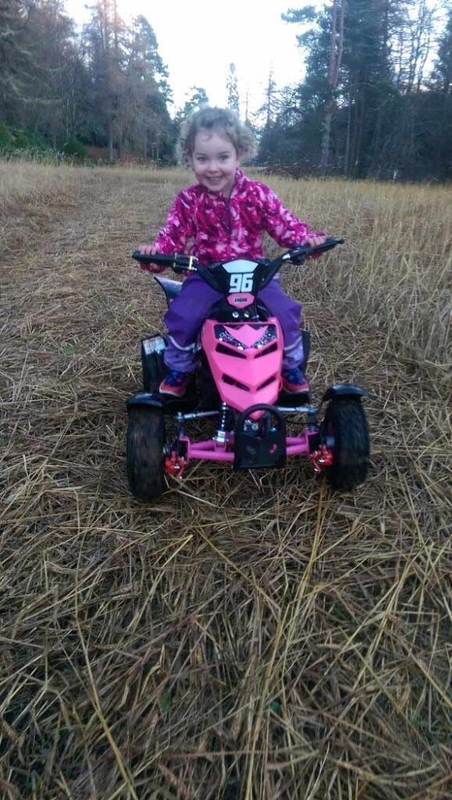 This is my daughter Hannah; she is 6 years old and has autism and ADHD. She has speech delays, struggles with anxiety, change and noise, and faces many challenges on a daily basis. 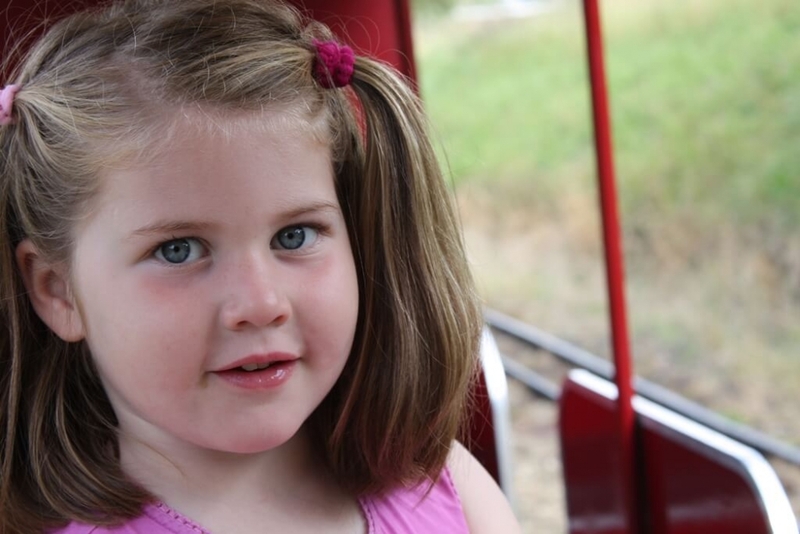 You wouldn't know by looking at her that she has autism, she is a beautiful, bubbly and happy girl! She loves to dance and play and has brought so much joy to our lives. She has taught us understanding, acceptance and patience. She has come such a long way and continues to progress and we are so proud of her! Different not less! 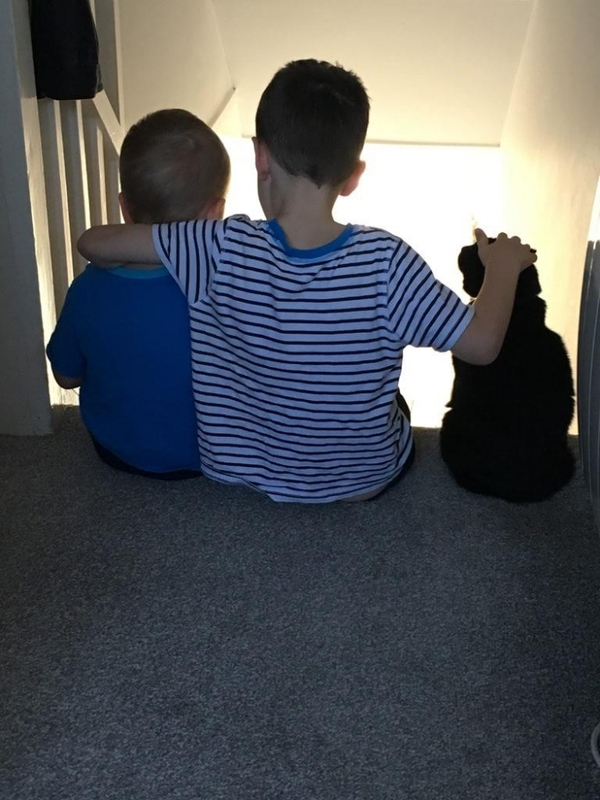 I caught this moment between my 6 year old autistic son and his brother, with their much loved cat. On most days my son has meltdowns, and I don't know why! He is sensory seeking, struggles with motor skills, hand flaps, has complexed food issues and can't express his feelings! Yet, on most days he shows his family how much he loves us and how much he cares, in his own way. Thankfully for all the hard moments, we have beautiful moments like these. I wouldn't change him for the world, but I would change the world for him. My name is Charlie. Although I cannot speak, I can hear what you say to me. I may cover my ears sometimes or wear my ear defenders as I cannot cope with the noises in the room or a noise close by. I may rock, stamp my feet, clap my hands, flap my hands, cry or giggle uncontrollably. Have patience with me. Looks are deceiving and I have autism. Say hello to me even though I might not give you eye contact or ignore you. I do hear you and see you. 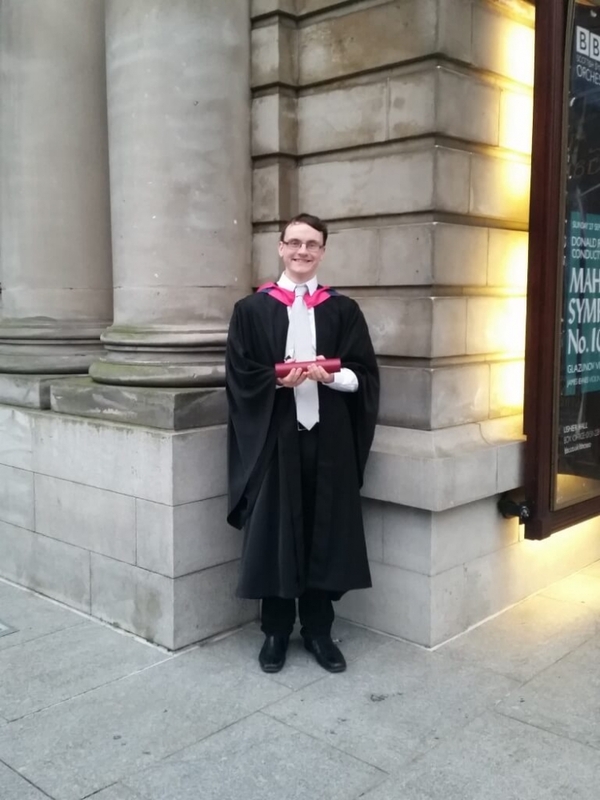 Kieran at 22 years old graduating with a degree in classical music. 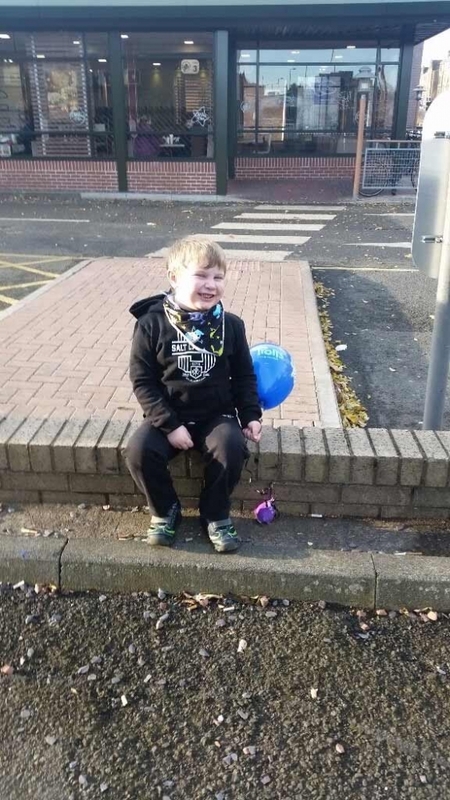 Kieran was diagnosed at 3 years old with Asperger’s and I was told to expect the worst. Kieran is now a fully qualified clarinet tutor and has achieved so many things so far, his journey is just beginning. With all the noise and hubbub through the day, sometimes the best way to unwind is to sit in the cool night air and watch the sky in silence. My son and my dad are very similar in the fact they can 'cope' all day at work or school but when they come home they're socially exhausted and 'have' to do their own thing to rebalance away from social demands. My son is nonverbal with severe autism but hand in hand we will walk this journey together. even if you don’t understand me I’ll be happy that you made the attempt. even when I get things wrong. I feel, I hear and I can see. This was taken at a Christmas party in our church hall - it is a party for senior citizens, but Charlie, as soon as he heard the word party, asked our parish priest if he could go. Of course Monsignor Aldo said he could, and the committee who organise the event make sure that he wins a raffle prize every year. He loves the music and always gets up to dance. 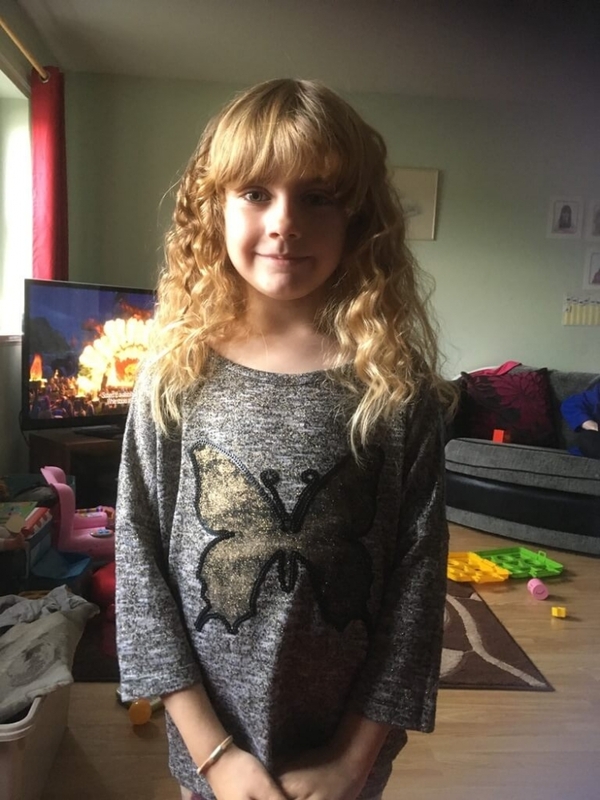 This is my daughter Rachel, she is 10 years old and she has autism. Ever since Rachel got diagnosed with autism at age 6 people still continue to say she doesn't look autistic. 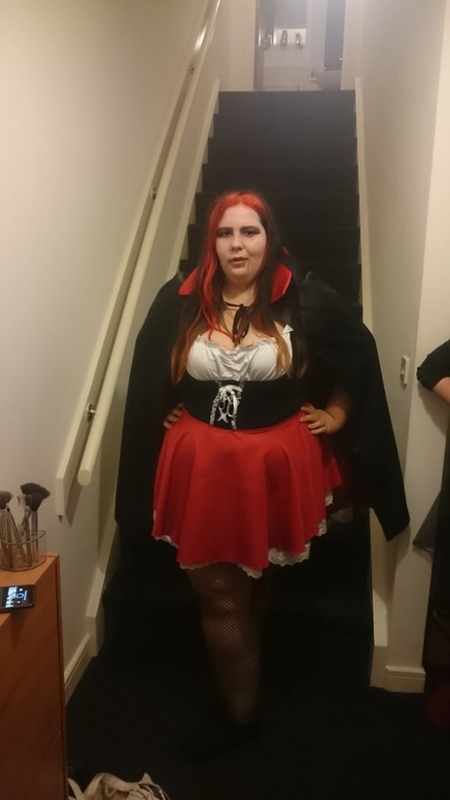 This ignorance has caused damaging bullying towards my daughter. So my reply to them is "what do you think autism looks like?" They never have an answer to that question, just an awkward look on their face. I then tell them autism is a neurological disorder that effects how the brain process information. 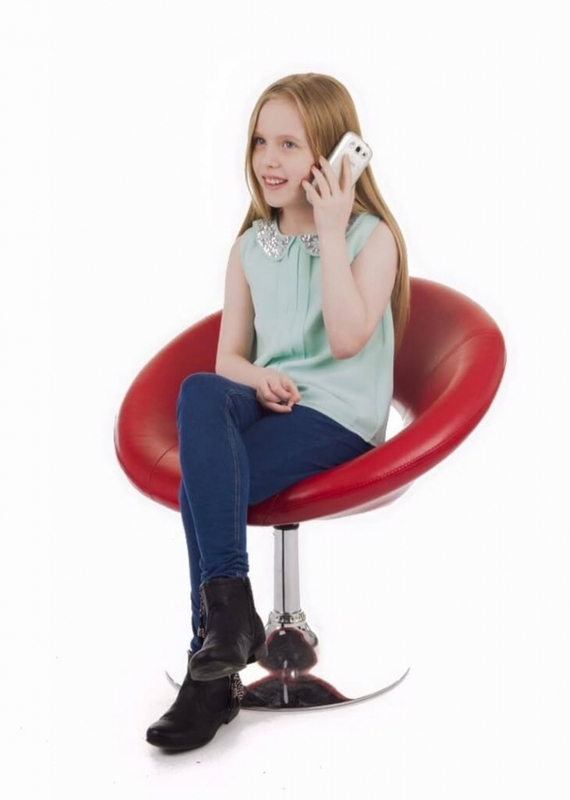 Autism can look like my daughter in this photo chatting on the phone and wearing fashionable clothes because ‘autism has no look’. Treat me equally and I will show you I can adapt. Embracing obsessions and special interests, using them to help teach our little boy how to count, read, write, speak and socialise. Focusing on raising funds to educate children in our local area on autism awareness. Learning to not only accept differences but to embrace them. 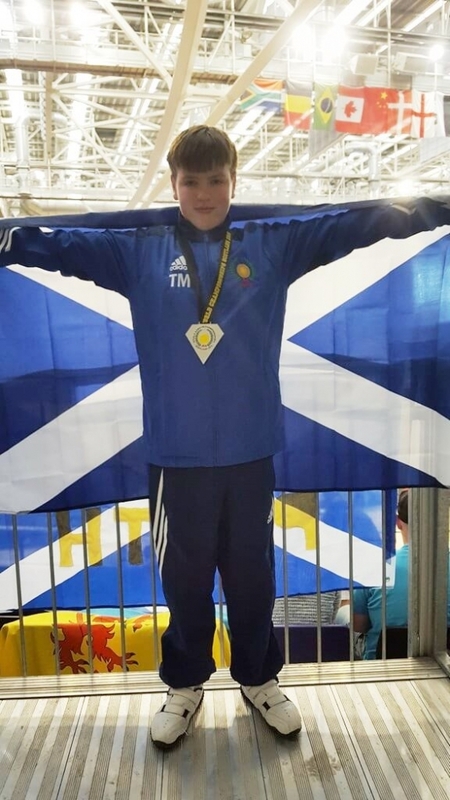 My 12 year old son Tristan won a silver medal at the JKS World Karate Championships at the Glasgow Emirates Stadium in September 2016 then went on to take gold in the Scottish National Championships in October 2016. He has overcome so much to get there. Non-verbal at 4, we learned makaton to communicate with him then PECS. He learned how to play/socialise with friends. He learned coping strategies to deal with sensory issues in a variety of situations including team games, clubs, playground, and even international competition with the huge challenges that presents for Autism Spectrum Disorder children. He is a wonderful, caring and compassionate boy who shows great empathy for others, supporting team members and friends. 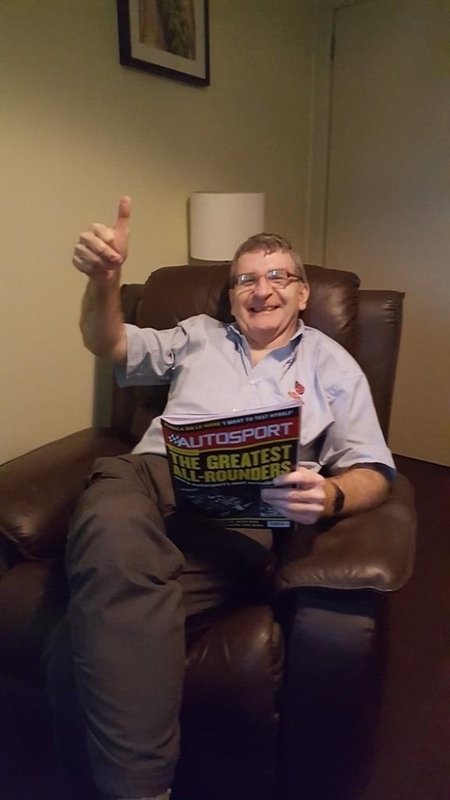 He has also been nominated for Perth Disabled Sports Person of the Year. He has accomplished so many things to achieve what he has and will continue to do so. 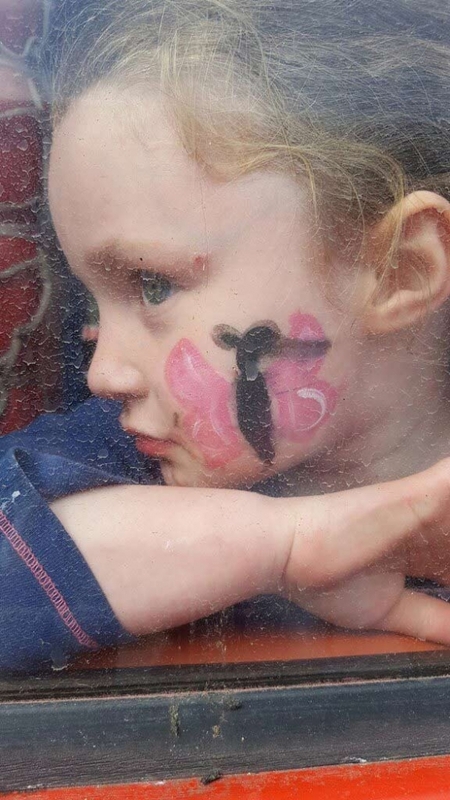 Our beautiful loving daughter belies the myth that children on the spectrum lack empathy or need for emotional connection. We all need to love and be loved. 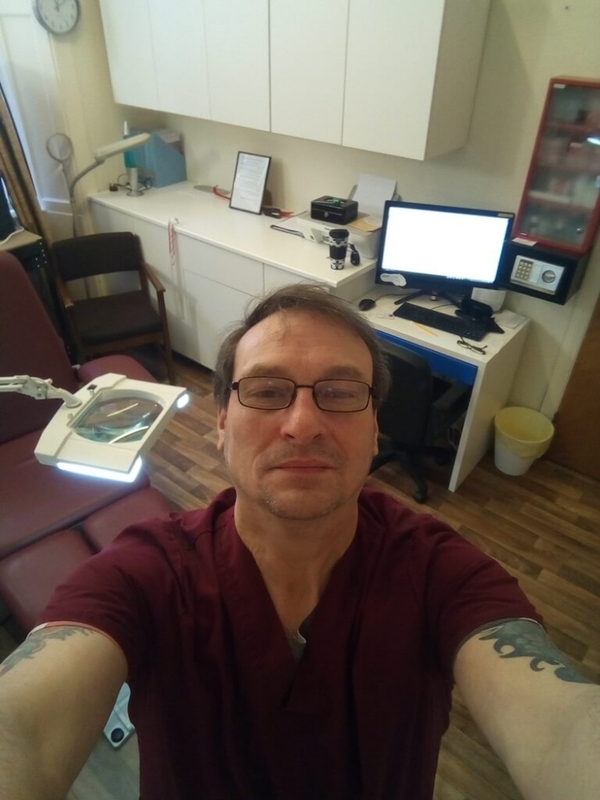 After discrimination, prejudice, unfair treatment, lies and years of stalling by authorities, huge anxiety and many people telling me I couldn't possibly cope and should not do this, a new life begins against all the odds. A true miracle. The prejudice is because society doesn't understand us, doesn't know how to deal with us, is scared of the label, and thinks autistic women have behavioural problems and could be a danger to the welfare of a child. Living life with your brother who has autism is a life only someone in your shoes will understand and relate to. The moments in public, the bullies, the mocking, the staring, the routines and rules like most homes don't have. The sibling disagreements, just in a different way on a different level. The feeling of relief and almost love for others who accept your brother for who he is - I've faced it all. The bond, if created, is as unconditional as a parent and child. The trust that you build in one another never to be broken. The hours of silence but the appreciation of one another and understanding that silence really is golden. The knowing how each other is feeling or thinking without even having to say it. The rare glances into one another's eyes, and the even rarer words exchanged, but all the time the knowing that the love between each other is a special one that, unless you have it, no-one will ever understand and nobody can ever take it away. That bond if you're lucky like I am to have is so special, so sincere. It has made me the selfless person I am today and as much as I've sat and cried, never understanding why, thinking it's not fair that my brother has autism, the heightened responsibility I took upon myself at a young age to protect my brother - all of this and I have one thing to thank him for and that is he has made me the person I am and I'm proud to owe him that. Proud he is my brother. Proud of all his achievements: proud and blessed. We are all put on this earth in all capacities for a reason and you, my brother, are one of mine. 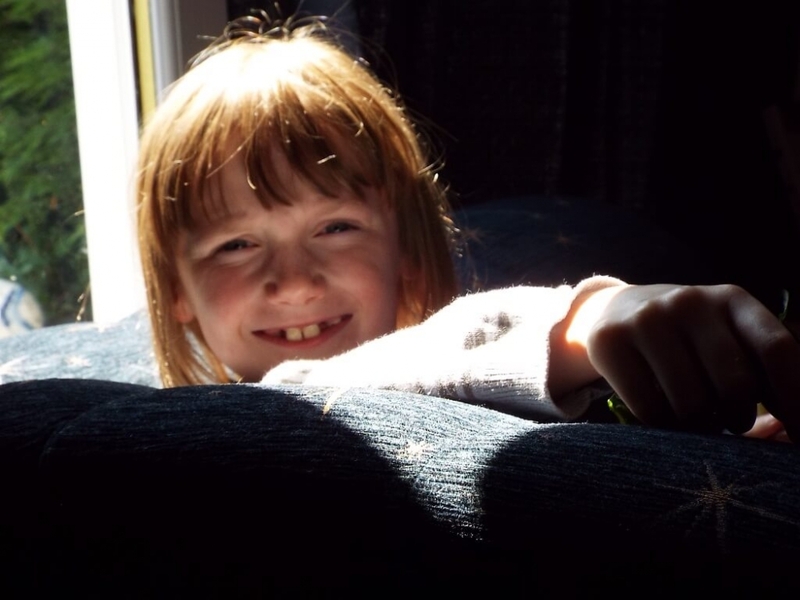 My Daughter is autistic and proud of it. Who are you to tell me I’m disabled? Who are you to tell me the way I think is wrong? Who are you to look down on me? Who are you to leave me out and think I won’t notice? Who are you to make decisions about autism without asking for an autistic opinion? 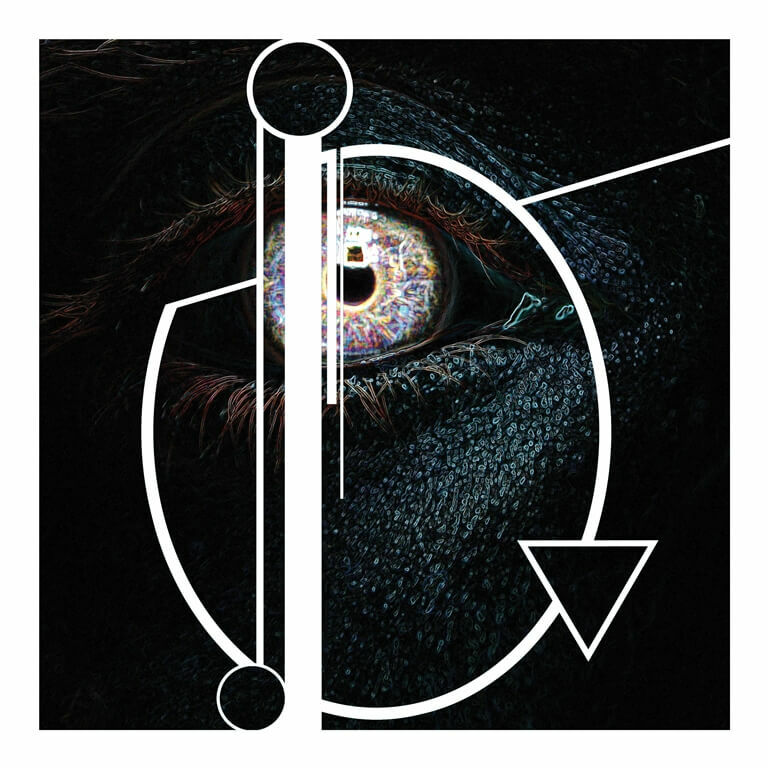 Who are you to label me ‘disordered’? Who are you to tell me I’m ‘inspiring’ while pitying me? Who are you to tell me what will make me happy? Who are you to tell me to learn to be ‘normal’? Who are you to tell me how to live? Because my daughter is autistic and proud of it she asks questions other people don’t know to ask. 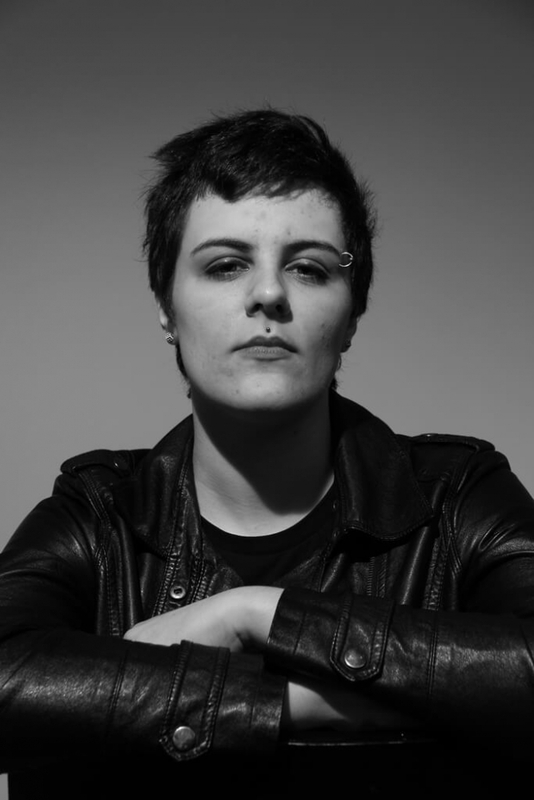 Catherine Simpson is a novelist and journalist. Her novel Truestory, published by Sandstone Press, is the story of a boy with Asperger Syndrome who refuses to leave the house. Truestory is told from his mother’s point of view. 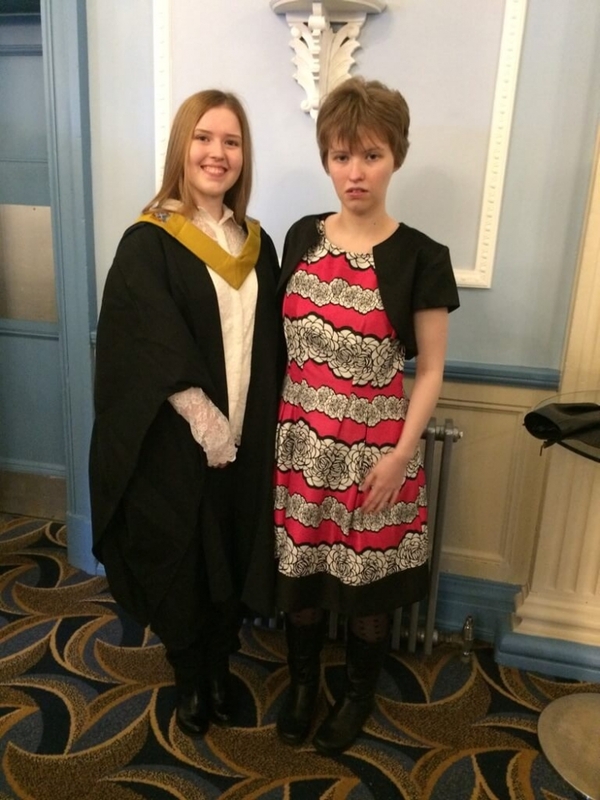 Catherine was inspired to write the novel after raising her own autistic daughter, Nina Mega (photographed), who is now a student at Edinburgh University. 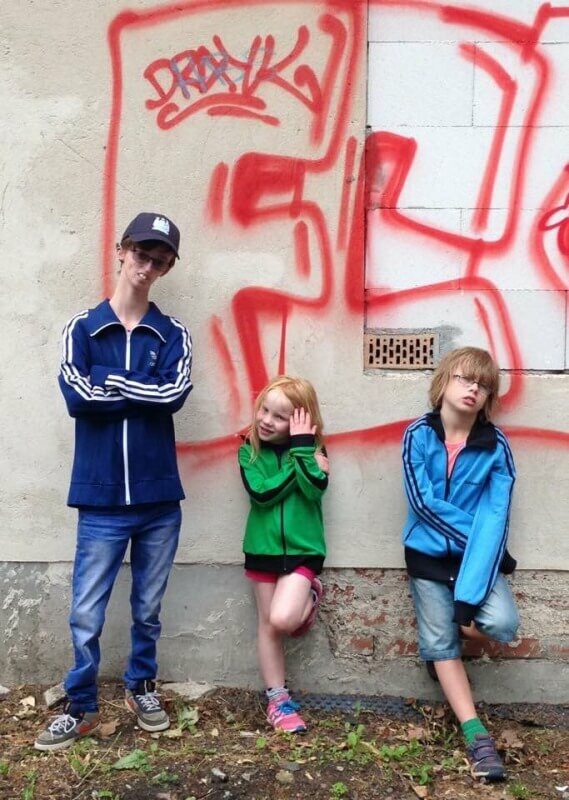 My eldest son (left) has Autism Spectrum Disorder and feels he is different and doesn't fit in with his siblings. Sadly, he often feels apart from his family and peer group. To all of those people who think that those with autism cannot show love, I wish they could see the depth of love my wonderful son has for his family. 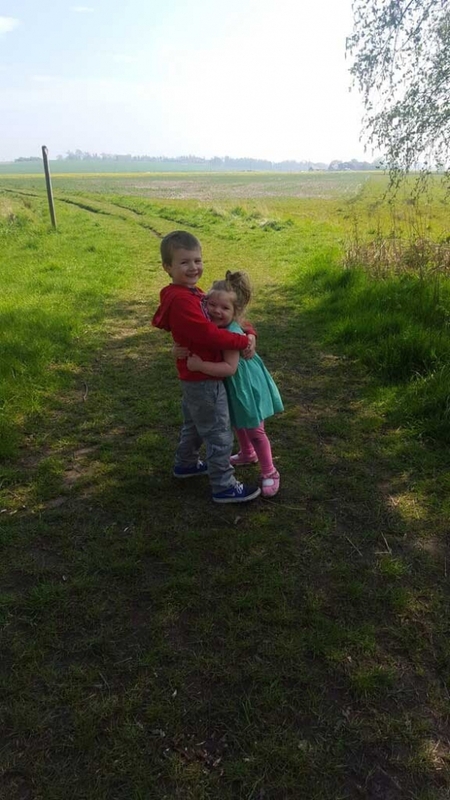 He might struggle to express this verbally but he gives the best hugs and will always be there for his little sister (who has chronic liver disease). So take time to see past the diagnosis and get to know the person - you'll be very surprised! 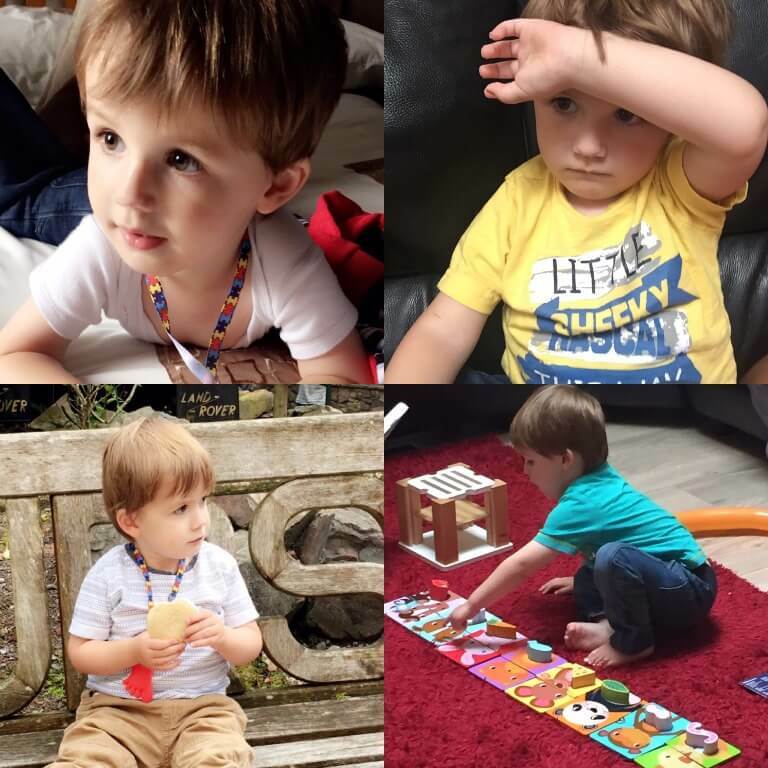 Busy, noisy, bright environments are hard for Jack but there are ways to help him manage and access fun activities as part of our family. 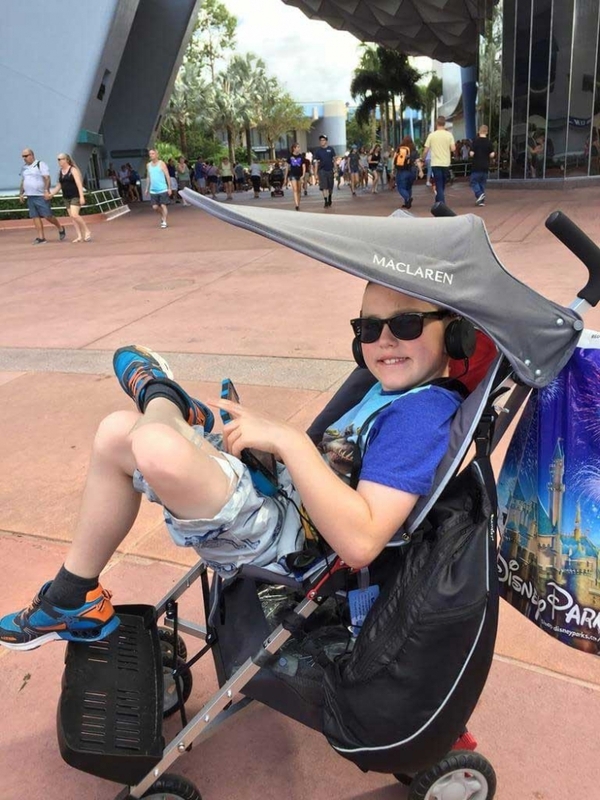 This picture has Jack (aged 9) in his buggy ready to explore Epcot last October. His buggy provides a place of security in a crowd and his tablet provides a means of distraction that allows him to manage his space on holiday and prevents him from being stressed and overstimulated. 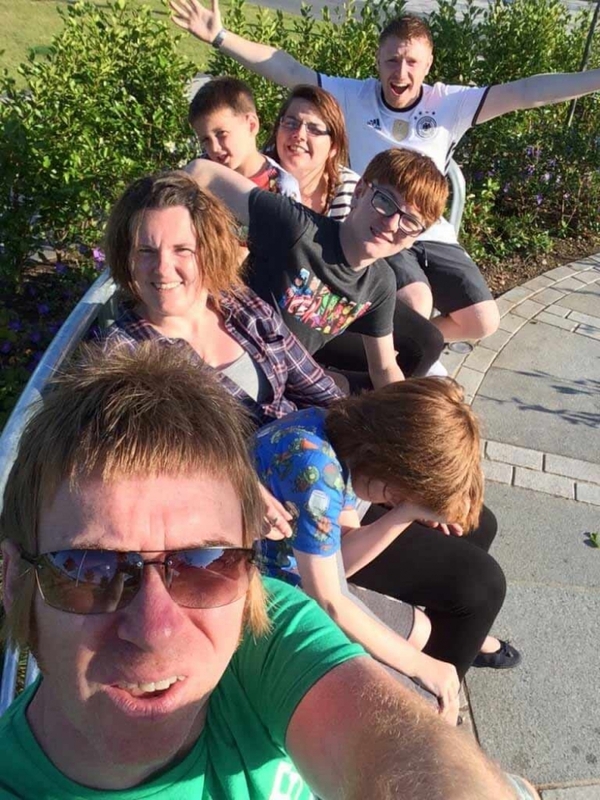 This way the whole family is together having fun and Jack is able to access the things that he wants to and have great memories and opt out of others. As a family we have grown used to strange looks at having a big 9 year old boy in a buggy but the access to fun days out makes it worth it. One day it would be nice for people to just accept difference and embrace individuality rather than feel the need to comment on my son's invisible disabilities. Lucia is our third child of four and a twin. She is a wonderful, little ball of energy who seldom sits still, has little attention span and loves the great outdoors. This, for me, is such a beautiful picture as it captured a moment of calm (a rarity!!). She picked two daisies (has to be two of everything!) and stared intently at them, saying 'wow' as she twirled them between her fingers alternately. She finds wonder in the simplest of things and I wish I could see the world through her eyes (unspoiled and full of possibility) just for a day. To be simply happy, must be a joy indeed. 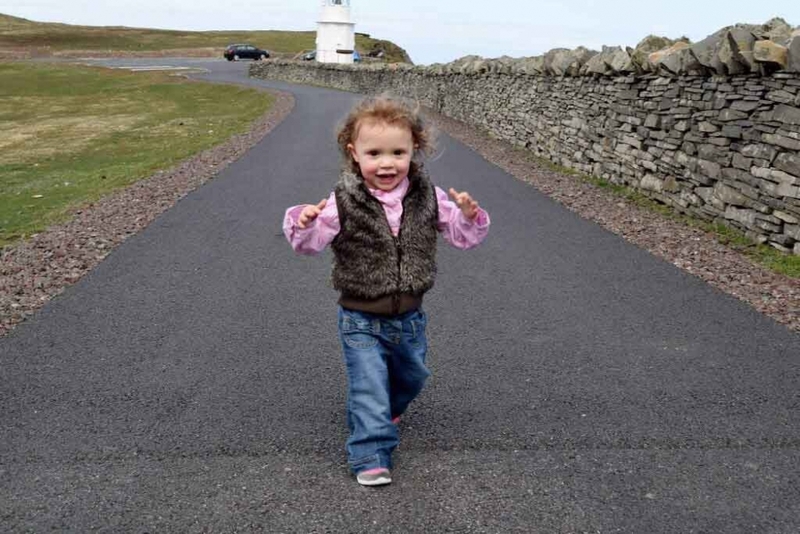 I am simply happy that this wee girl picked me for her mum. Days like this erase all the trying times and remind me to stop and smell the roses or, in Lucia's case, to look at the daisies. In 2005, I was in NYC on a working trip and while I was there it was my birthday. On the day I was able to have the morning to myself and I went out at 7am with my camera and had a fantastic five hours indulging my special interest; sky scrapers and photography. 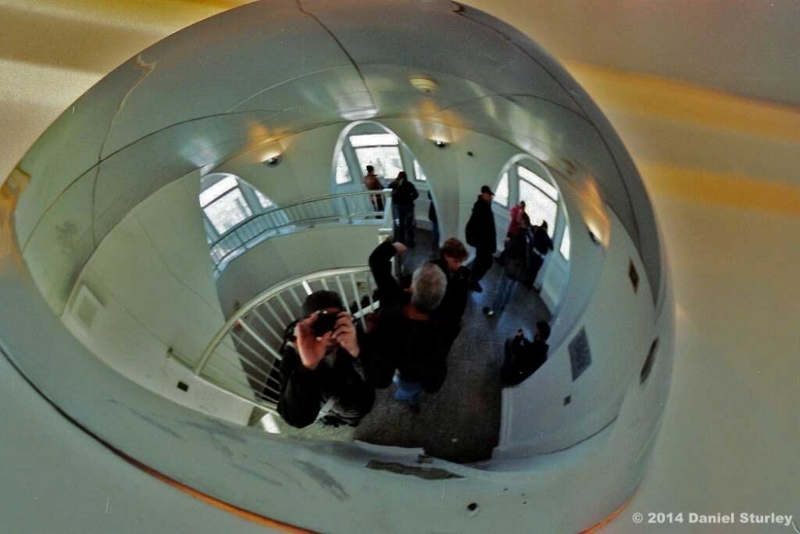 I went up to the very top of the Empire State Building and took this photo of myself reflected in a curved mirror. That morning I used six 36 exposure film rolls and 16 from the whole trip. I have never felt more content and happy than that morning; I was on my own doing what I love the most. Take my hand and I'll show you. A musical of every song I've heard. Silence around everybody but you. I am speaking, are you are listening? These are my three children. One has Autism Spectrum Condition (ASC)...which one you ask? That is the trouble, autism is invisible to others, the behaviour sometimes may be visible, but the condition itself isn't. 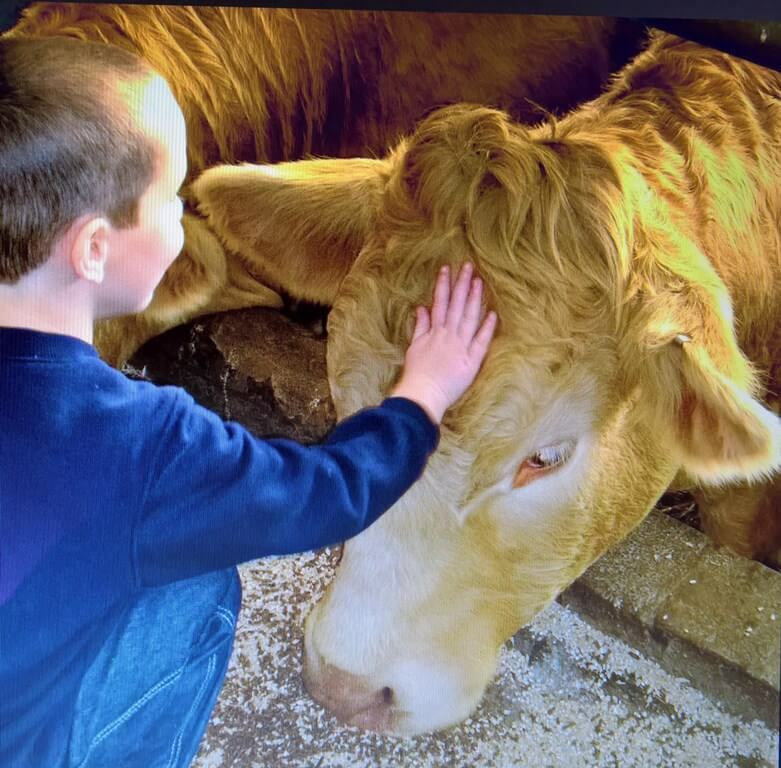 There is a perception that autism locks children away from emotions and that they don't seek or like affection and physical contact, is that evident from this picture, no. People with ASC can and do show emotion, affection and like physical contact, they just like to decide when and with whom. Siblings create an amazing platform for them to be free to express themselves and relax, confident that they can be themselves. We wish people would see the smiles and love that our son has to give. He is full of cuddles and kisses. Holding his baby sister, feeling proud and protective. Lots of things that people think an autistic person can't be. He's the most caring person we know and we love him with all that we are. 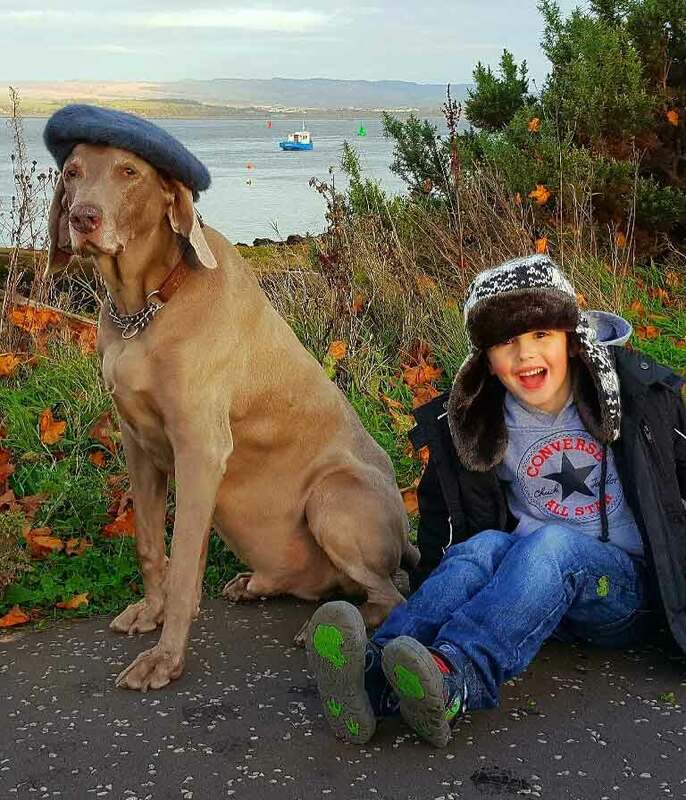 This is our grandson Ben and our dog Oscar. Ben was diagnosed with autism when he was 2. He and Oscar are inseparable; they have a very strong bond. Oscar is very protective of Ben. Ben is doing very well in mainstream primary school. When Ben comes to stay with us he says he's going to stay at Oscar's house and he likes nothing more than taking Oscar for long walks. We're convinced that Oscar has brought out a lot of Ben's confidence and he helps to keep Ben calm. This is my son Jack. He is 9 and has a diagnosis of autism. He struggles with lots of things but there are lots of things he can do which people don't expect. 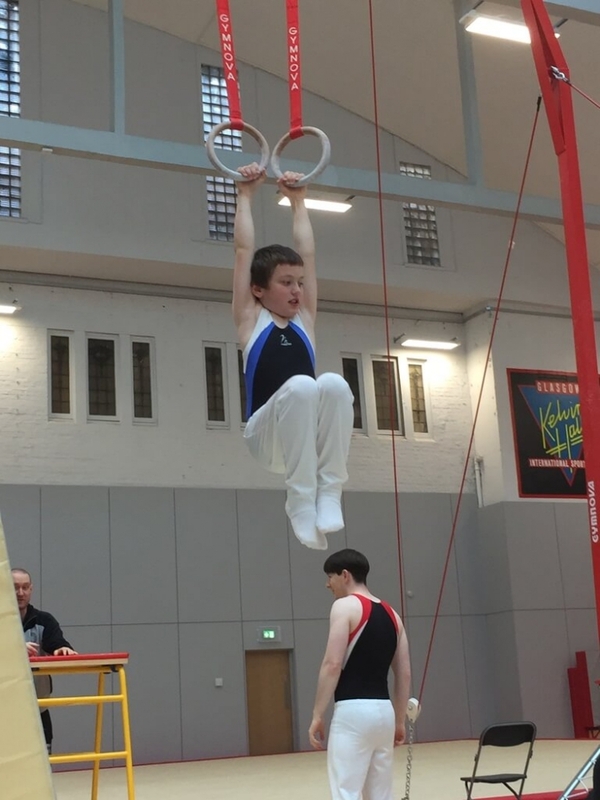 This is him competing with the City of Glasgow Gymnastics Disability Squad last October. This is my son Noah. This photograph is unique as Noah is actually relaxed, stationary and looking directly at the camera with his eyes open. Due to Noah's autism, getting a good portrait photograph of him is almost impossible. 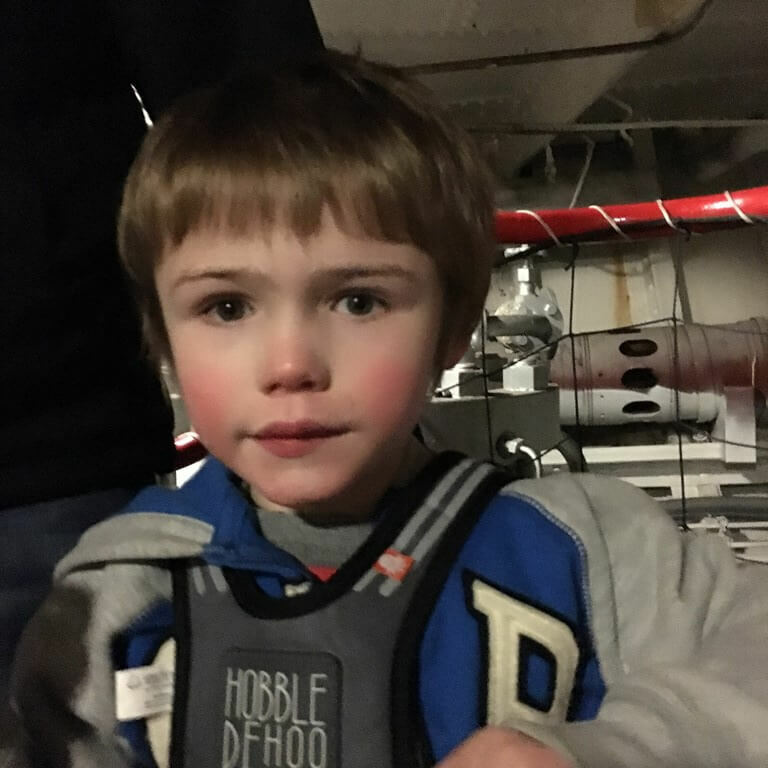 On this occasion, we were in the engine room of an old ship and this seemed to both excite and calm Noah and allowed me to capture this perfect image without him trying to run off or grab the camera. 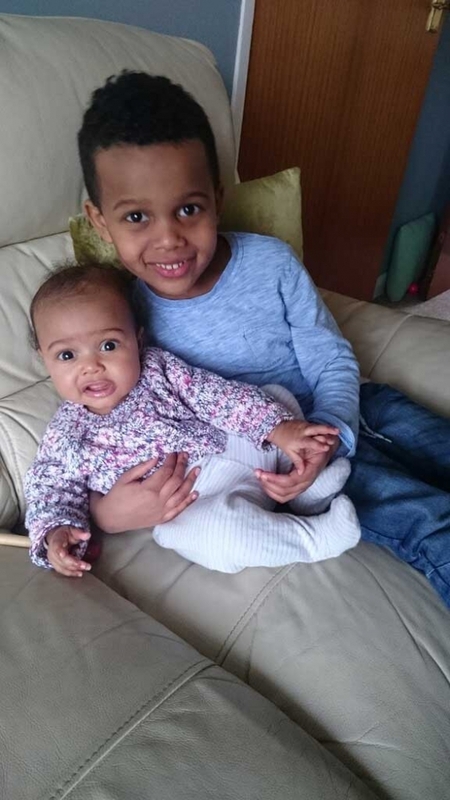 This is my favourite photo, it's of my son and daughter. Gregory was diagnosed autistic when he was 3. 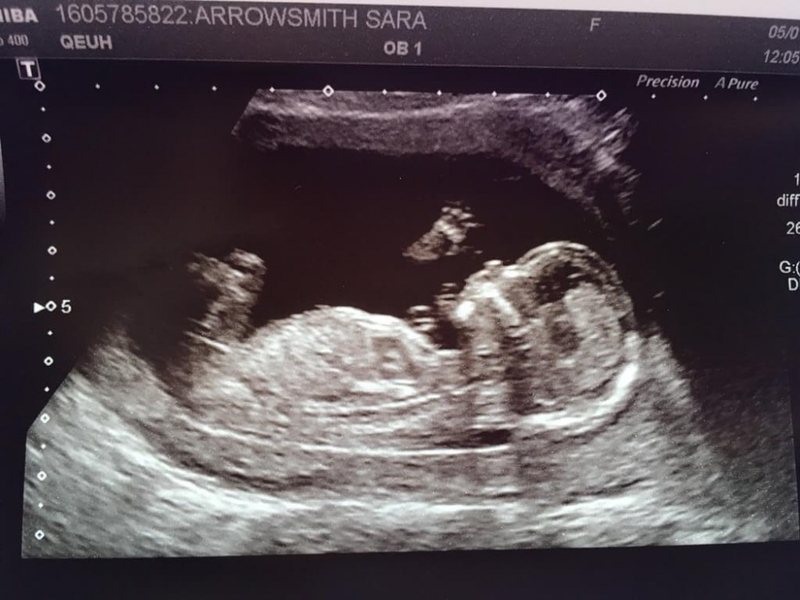 When I fell pregnant again people would say things like ‘he won't bond with the baby’, ‘he won't make friends with his sibling’, ‘they won't play together’. My son was so shut off most of the time playing himself. 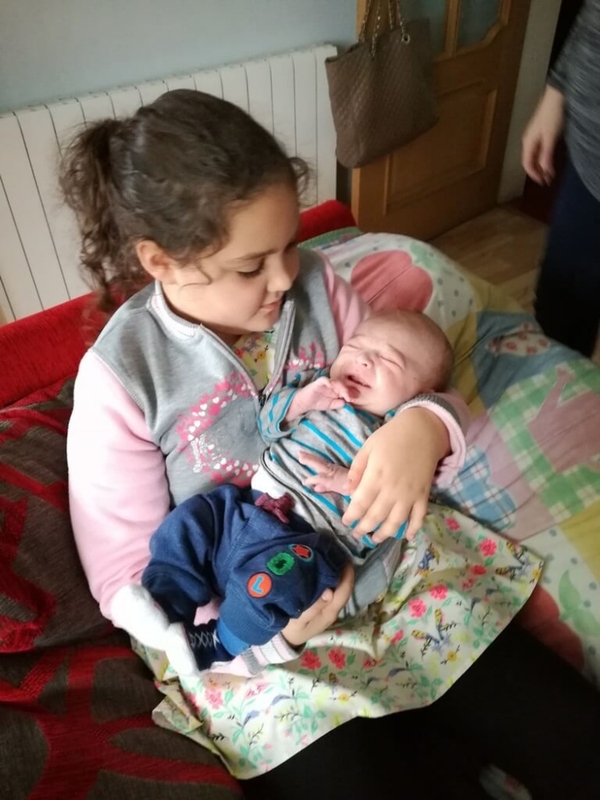 When my daughter arrived it couldn't be more different and this photo shows that being autistic doesn't mean you can't make connections to others. My son and daughter are as close as can be! I truly believe my daughter pulled my son out of his shut off world and connected him to us, it was amazing. Proving the myth wrong. My daughter will be diagnosed autistic after going through the diagnosis process. Her brother is her hero. 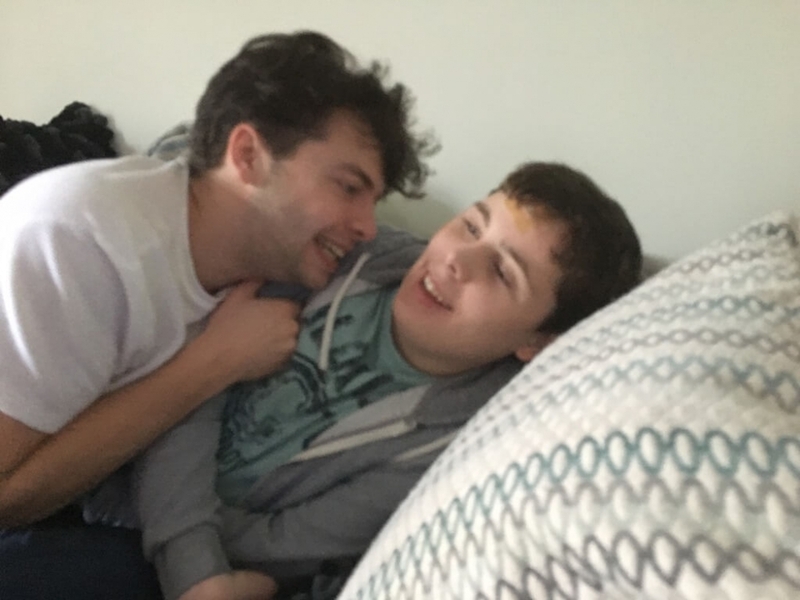 Autism doesn't mean they can't make friends or can't love, it’s just a different way of getting there. Myth I would like dispelled: People with autism cannot love. I was once told by a professional that people with autism cannot love like we understand it. That their love will always be egocentric and once they receive no benefit from you they will cease to care. In October I gave birth to my fourth son. My second oldest Sam is diagnosed with autism. Since I brought our youngest home (Benjamin), Sam has not only loved him unconditionally, but has shown his other brothers how to care for him. He bathes Ben, he feeds Ben, he plays and talks to Ben - and what is more amazing is whereas we are constantly reminding Sam to use his 'inside voice' at ALL other times, when he talks to Ben his tone and volume completely change. He understands the need to be gentle and sensitive to the baby, there isn't a day goes by he doesn't ask me how Ben is, even when he is at school. If this doesn't show that individuals who are autistic can love unconditionally, nothing will. This is my mum who finds help for me and fights for me. She'll do anything for me. I love my mum with all my heart. 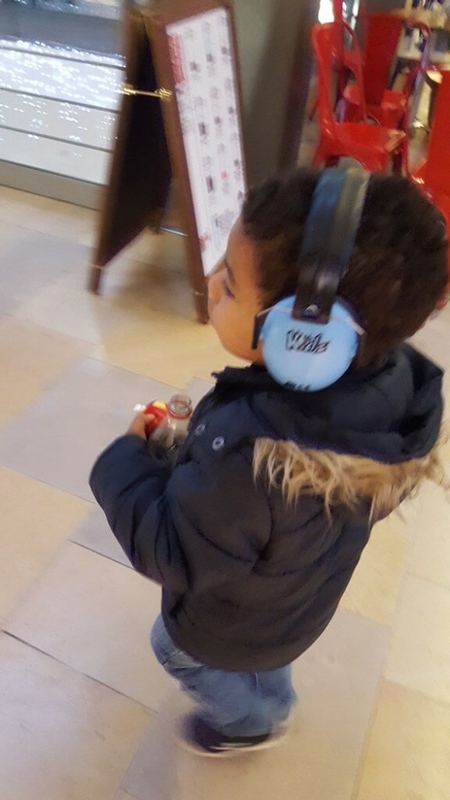 My autistic son struggled at Christmas time in the shopping centre, we got him ear defenders, what a difference, he walked independently, no meltdowns, always calm. Truly amazing. 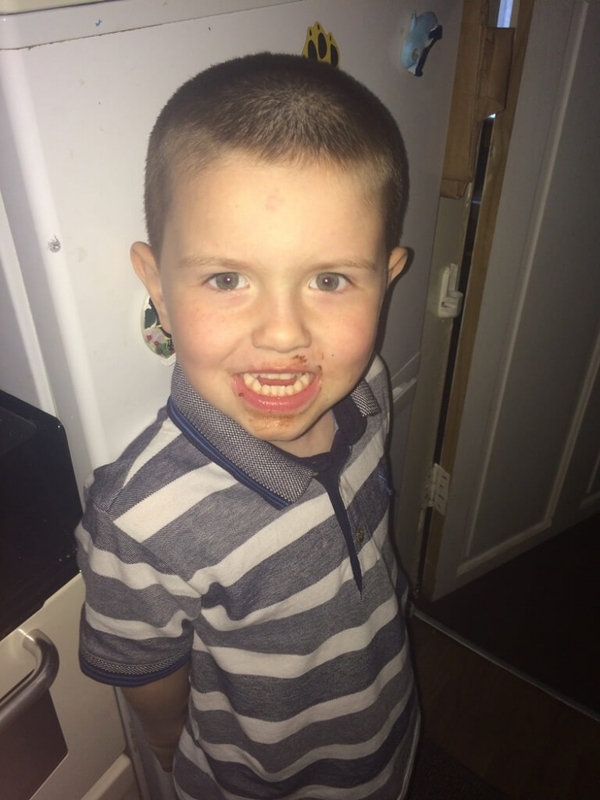 William is 4 years old, he has sensory issues and dislikes loud busy environments. 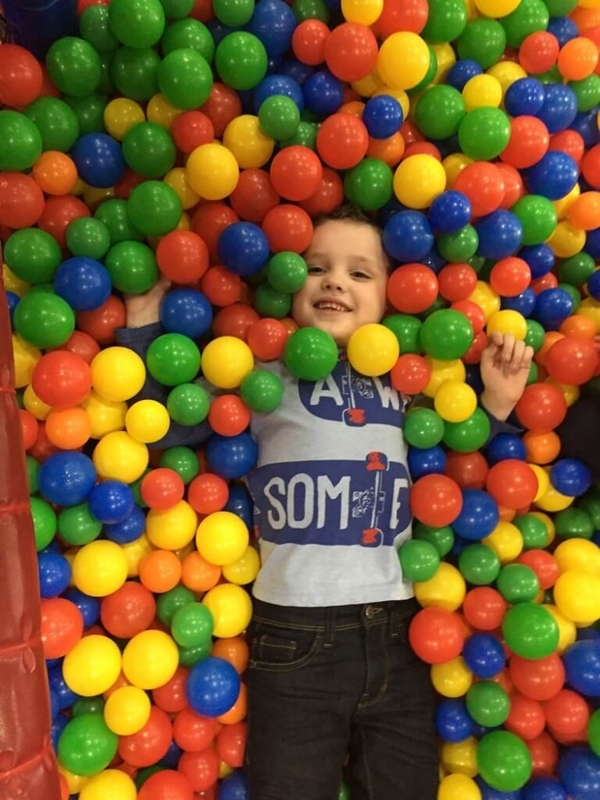 The day we took this picture he overcame his issues to enjoy himself, and in a world of grey clouds dampening things he would like to do but feels he's unable to do, he managed to find a rainbow of happiness in this ball pit! Encourage your child to try new things, don't be scared of the meltdowns, you may just have fun. Hello. My name is Xena. I am a baby. My Mummy and Daddy are autistic. 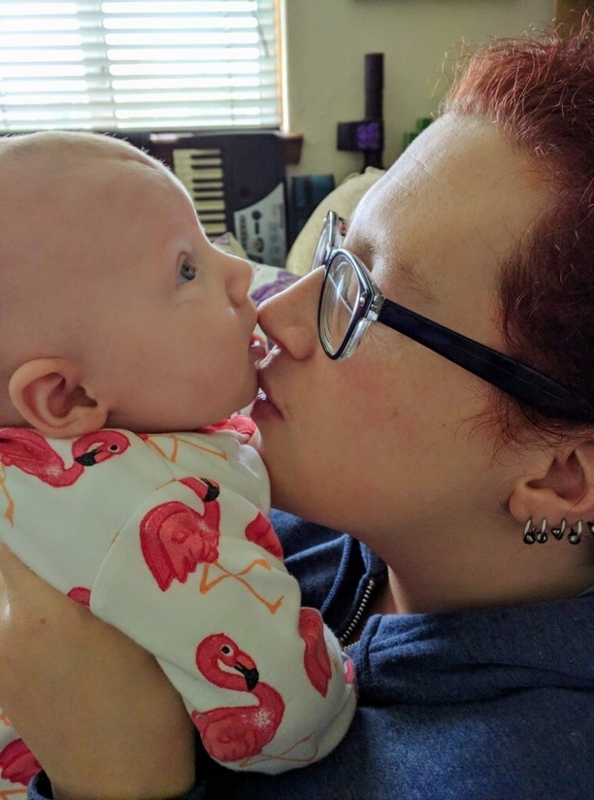 I don't know what autism is yet, but I know mummy's nose is tasty. They love me very much and though daily life is a challenge for them, I am so happy and healthy. Mummy and Daddy don't like groups, but I do. So sometimes I can go and play at bookbug. I heard something about a soft play area for my first birthday. Sounds like it'll be fun, noisy for mummy and daddy but I think I'll really like it! Just because I don't look at you and I can't speak doesn't mean I don't know what you are saying. I take in more than you think. 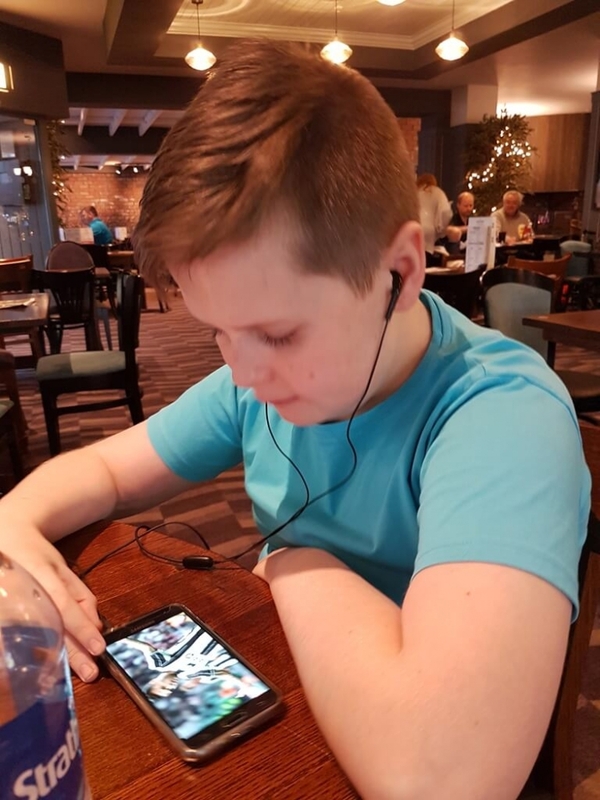 This is my 9 year old son who has recently been diagnosed with autism, he isn't your average 9 year old, he doesn't do sport, conversation, or anything that involves talking or interacting with people. This photo was taken at a communion last year; it took him all day to pluck up the courage to stand in the line to get it done. Once he finally got it he was so excited to show it off just to be laughed at and asked what is it supposed to be? To him it did not matter, he just wanted to be like everyone else and all they did was laugh. What I would say to people about autism is never laugh at a child's achievements whether they have a disability or not, you never know how much courage it took to do something that is so difficult for them. My boy is called Josh. My world. 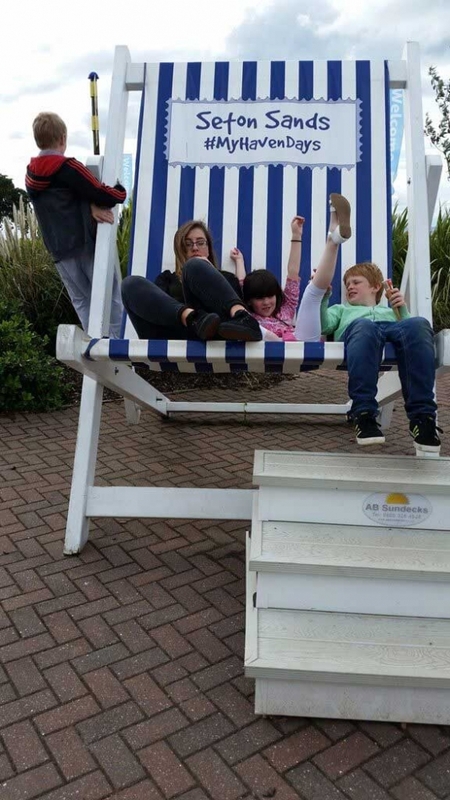 My twins both have non-verbal autism however I'm sure you will all agree this picture shows how happy we all are. Having autism or a learning disability does not stop you and you still deserve to be happy and have fun. Times can be hard but we focus on what they can do and celebrate that rather than worry or dwell on what they are not able to do. This photo was taken as Freya played and is totally relaxed. I took several photos with her not knowing, it’s a good chance to catch her unaware. 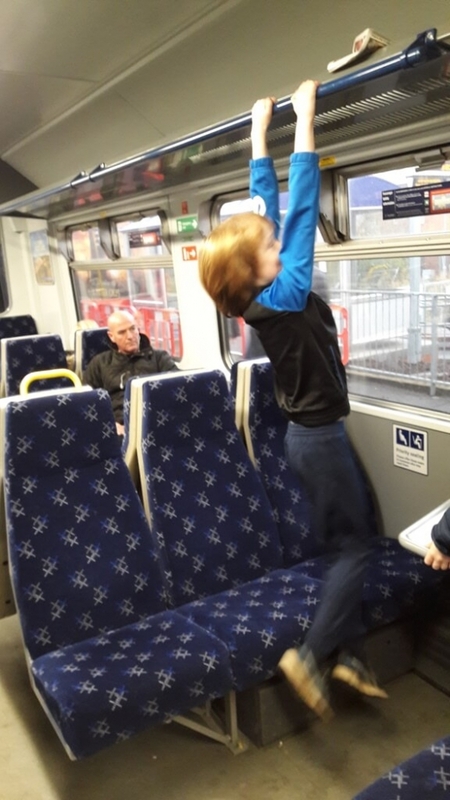 The train makes my son feel uncomfortable so this is his way to feel more centred. I wish that others wouldn't judge him or me the way that they do. 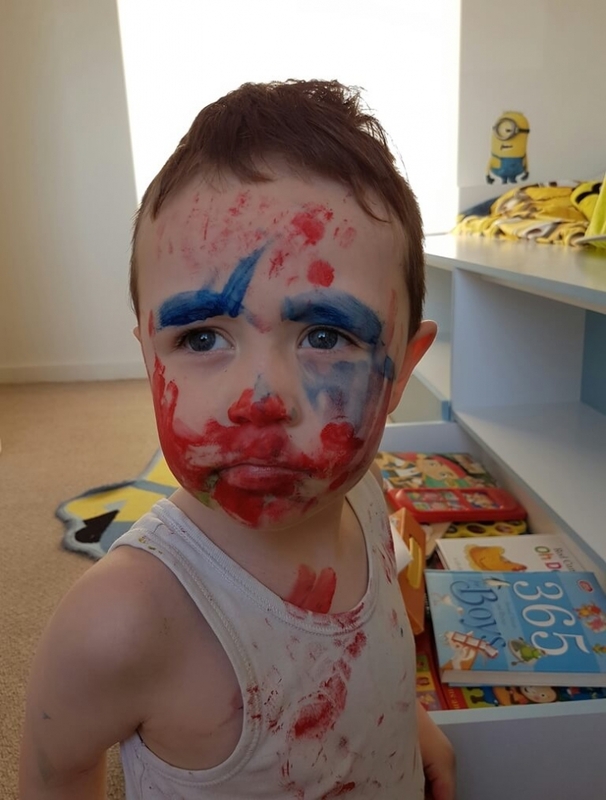 I am not a lazy parent, I do not ignore what they would class as naughty behaviour, I am allowing him to self-regulate in the only way he knows how. My kids are my world. I may look normal but I'm far from it. I was 15 when I got told I had autism and it was the best thing ever, I had answers to why I was the way I was and now life has opened itself up to me. 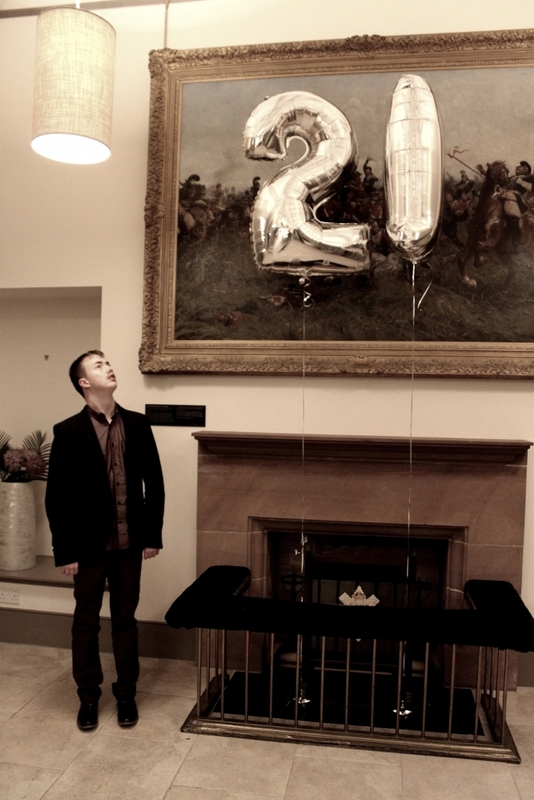 I am 20 now and I have only been going from strength to strength after I found out. Sometimes I do have set backs but I am determined not to let autism define me, it's part of me, yes, but doesn't define me! This is my beautiful boy Lewis, he is 5 years old. 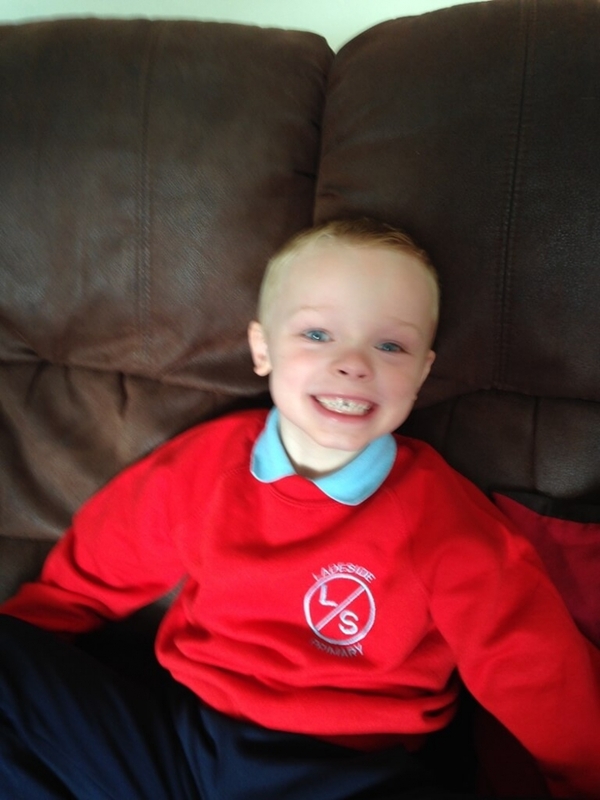 Lewis was diagnosed with autism in January 2013 at just 17 months old, very young. He is a happy and fun little guy who likes to eat a lot as you can see from this picture. I wouldn’t have him any other way. It can be very difficult and challenging at times but he is my boy and he is worth it all. This is Caleb. Caleb has Autistic Spectrum Disorder. Everyone looking at Caleb would say he looks just like your average 2 year old. The difference is, Caleb is very challenging. Caleb cannot communicate, Caleb cannot speak, Caleb gets very frustrated with not being able to communicate which can relate to him lashing out. Caleb has sensory issues. This causes him to dislike being touched, play with toys a different way to ‘normal’, he also struggles to eat any food as he doesn't like the texture. He struggles with social events as his little brain works differently. Caleb struggles with routine change. Caleb also struggles with eye contact. It's like Caleb is in his own little world. Life can be a guessing game at times trying to figure out Caleb’s wants and needs. His frustration has lead him to accidentally breaking my nose, breaking the iPad and mobile phone screens, hurting himself, throwing things and accidentally hurting someone and also reducing us to tears as we can't control him. The point being, Caleb to look at is your ordinary child but this is far from the truth. We love him unconditionally and he is the most fascinating little person I have ever come across. This is Caitlyn, she is my daughter, my only child. We didn't know that Caitlyn was on the autistic spectrum until she was 16 years old. 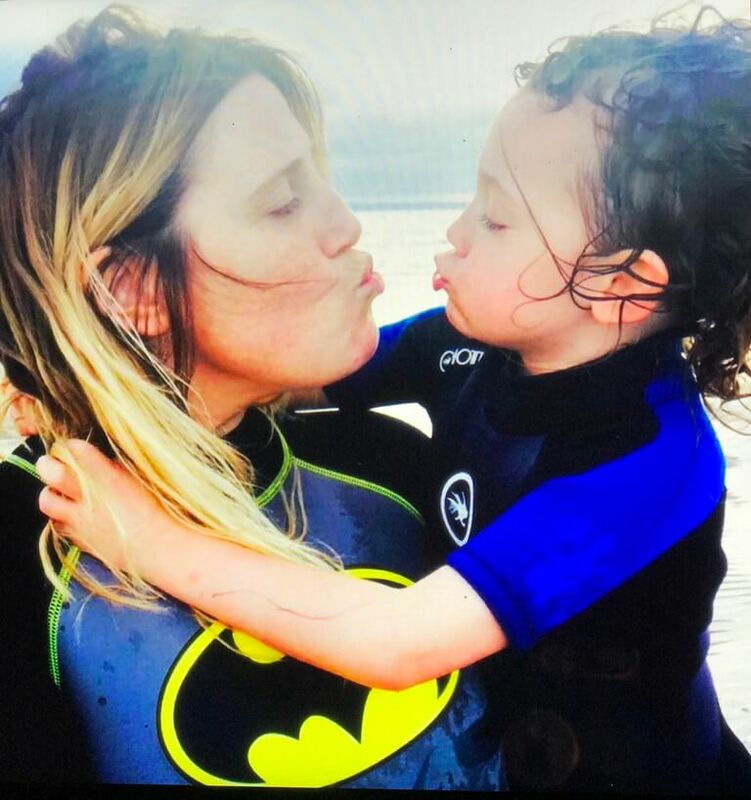 That was a shock, to me, to Caitlyn and to our family but we got through those very difficult and emotional initial stages with love and support and now we have an understanding of how Caitlyn sees the world and copes with everything around her, we hope we have made things much less stressful for her. My photo is to show there is no such thing as people who ‘look’ like they are on the autistic spectrum. 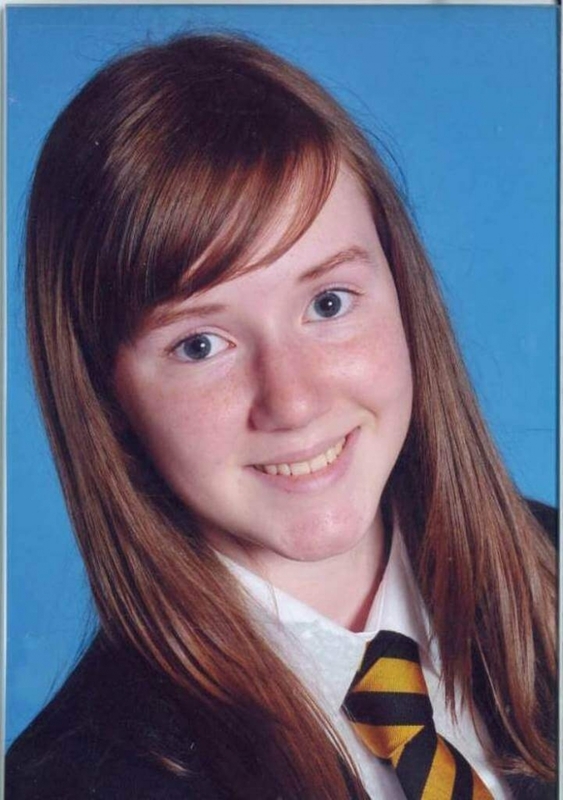 My girl laughs and smiles and goes to school every day; she has friends and last year went to her school Christmas Ceilidh and had a wonderful time. Her Senior Prom is in a few months and she is so excited to go to that as well. 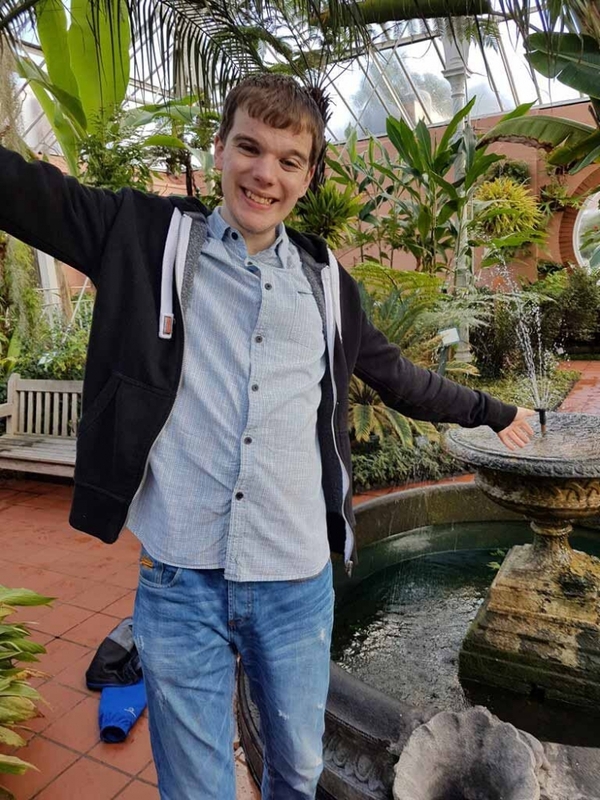 People on the autistic spectrum can be social, they can go to parties and have a good time, they can do things that everybody else can do - and they enjoy it! What they need to be able to do all these things though is kindness, compassion, understanding and people in their lives who want to make it better, not to make them feel bad or unworthy because they are different. Not less or stupid or quiet or odd - just different. We should embrace their differences and let them show us how truly wonderful and unique they are. 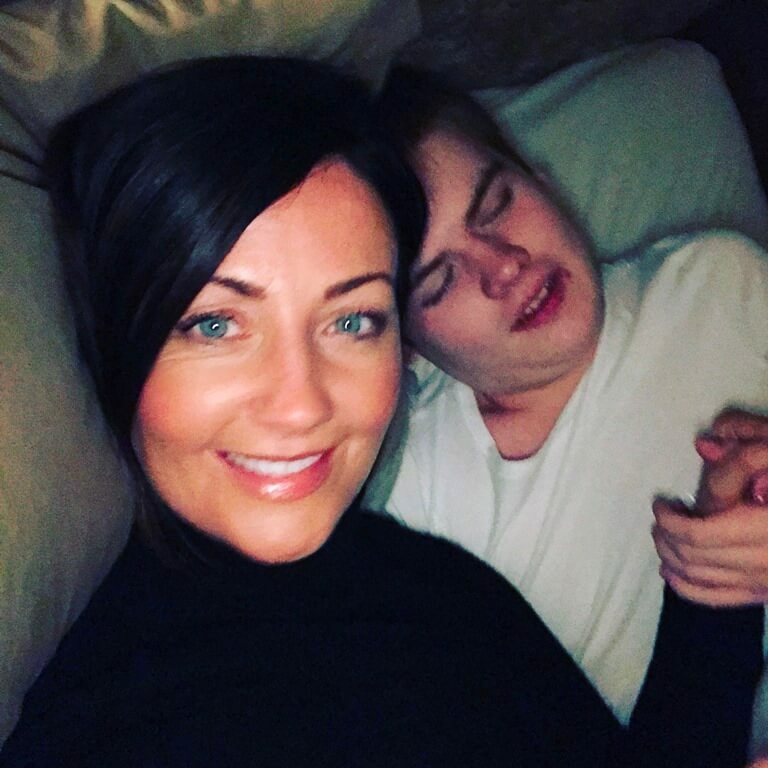 My son Sean is 15 and non-verbal, he always wants to hold my hand … words are overrated. AUTISM DOESNT BOTHER ME AT ALL. I'M AS HAPPY AS LARRY. Flying, don't know where to go, don't know where to look. The birds are singing the children are playing and the world spins a twirl. As I fly I see what life is, a dangerous, filthy, disgusting, violent world but who am I? Where do I come from and what my name is? Well it starts with the letter 'A' and I decide whether that child is special or not. 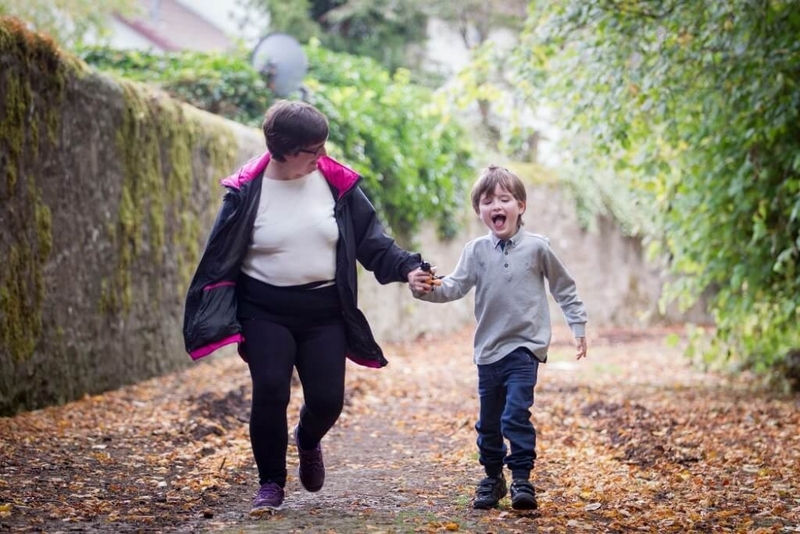 So if you see a special in need, autistic and disabled child then for the love of god take extra care of any child and any disability that child might have, with special support from New Struan School and Scottish Autism. We thank you for all your support so the next time it’s another April remember to respect autism and everyone around you. I may be autistic but I'm just the same as everybody else, apart from thinking slightly differently. I am a very literal thinker and tend to believe everything anyone tells me. I love quiet times where I can chill out on my own. 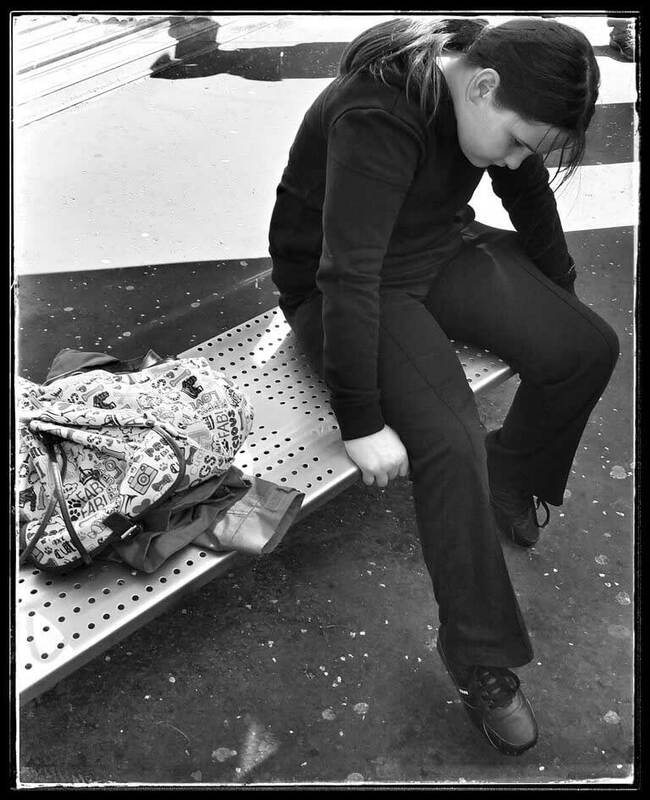 This picture shows my daughter during an emotional meltdown. It depicts her feeling down, alone and unable to control her emotions. 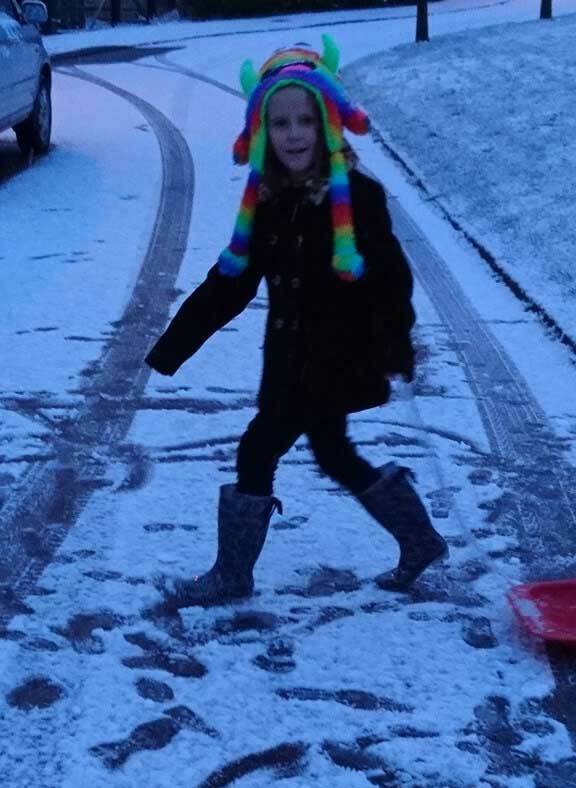 Prior to this picture she had been screaming at me for about 15-20 minutes while walking to the bus stop because she didn't want to do it and, unlike you or I, she can't express herself the way we do. Episodes like this are a challenge for many parents of children with autism and bystanders find it difficult to understand what we are trying to cope with. My brother is a tall, handsome man. When we’re out, sometimes people stare because of his posture or expression. It’s natural curiosity, but he sees it and is sensitive to it. I think he just wants to be treated like everyone else. He has uncanny drumming talent, and niche knowledge of aircraft that could hold his own on Mastermind. He has a cracking sense of humour, and knows a pretty lady when he sees one. He has become quieter since becoming a young adult, and gets frustrated easily. I have to look for subjects that motivate him to talk. Sometimes I imagine him speaking like my other siblings do: freely, making fun of me, saying what he feels, correcting me if I interpret him wrongly, heart to heart. Sometimes I see boys his age, larking about, doing what they want, and wish he was like them. Not for us, but for autonomy for him. One of my fears is that his quality of life is lower, because he doesn’t articulate what he wants, or we assume he doesn’t mean what he says, or we don’t know how to make it happen. I want to focus on this more for him. My son was diagnosed with Asperger’s Syndrome at the age of 4 in 2001. He is now 19. He has always struggled with social situations, and as he was growing up we always tried to include him as much as we could. 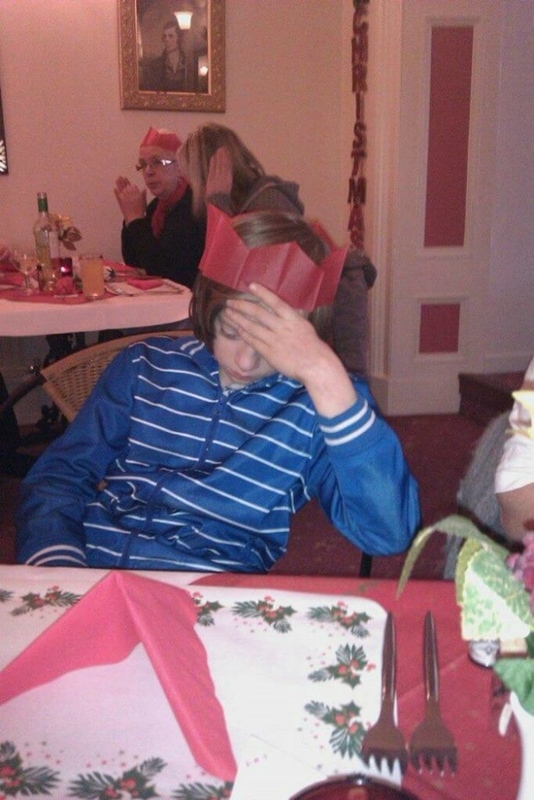 When I saw this photo, taken at a family Christmas Day meal, it made me realise that forcing him to 'be what society expected him to be' was just making him miserable. I decided that we would let him 'be who he was'. We have all been much happier for it. Euan loves to get his photo taken, he will often pose like this and take several shots to get it right. How his clothes and hair look is really important. Euan was going through a really tough time when this was taken, very distressed one minute, and then smiling like this the next. My son is amazing just the way he is. I'd change intolerance and cruelty in the world around him, but never would I change him. I want more celebration of neurodiversity, so maybe my son will be "Allowed to BE AUTISTIC" and appreciated for who he is. 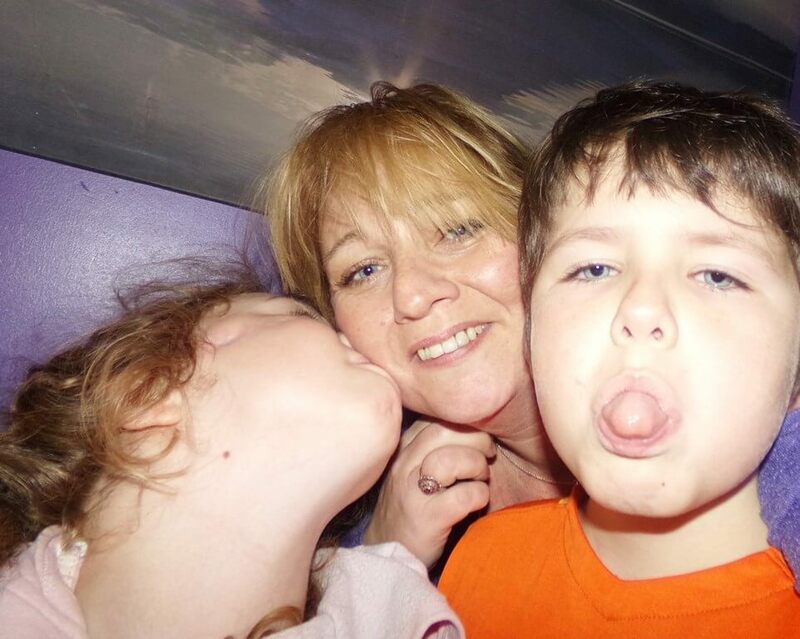 My son is autistic, but that doesn't mean he's broken. He needs help and support, but that doesn't mean he needs fixing. The image is one of my prints, entitled ‘The Immanent Eschatology of Sun Wukong.’ Sun Wukong was the Monkey King in the tale ‘Journey to the West’ - he signifies, to me, self-realisation through the combination of intellect and adaptation. I have many qualifications (2 undergrad degrees, 2 post-grads, and a Masters of Law, among others). I have held professional management positions (I was also sponsored to study Management Finance at Harvard); and have many successes to my name (for example: I have worked with the European Commission; as a practising artist I have had my work shown (and later held) by the IPCNY in New York, and taken part in exhibitions in the UK, Europe and North America). However, if I mention my autism first, I never get to the interview stage for jobs. 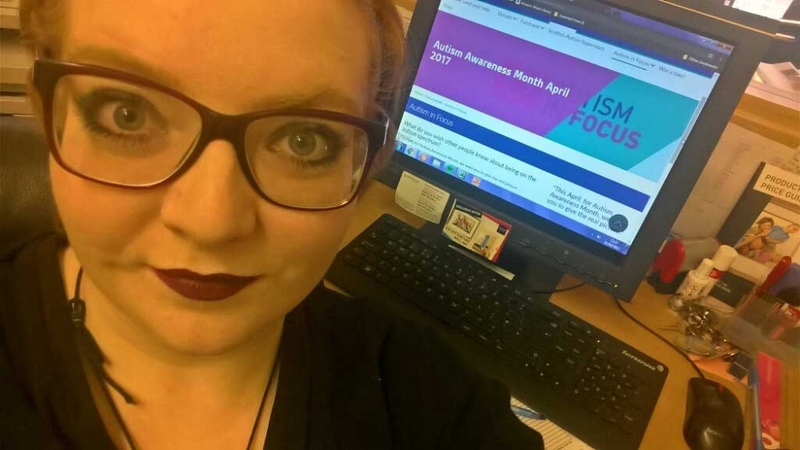 I am a person of many and varied abilities and skills, and when asked, I always say “having an Autism Spectrum Condition should not be seen as a hindrance to employability - I am an asset, not a liability." 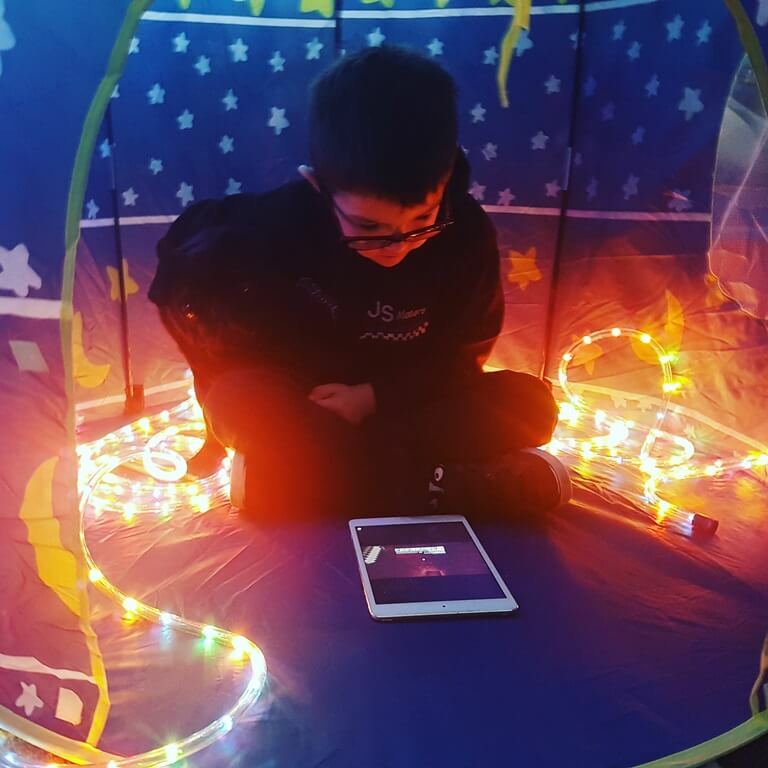 I wish people would understand that my son feels more calm inside his tent with his lights and that watching his iPad isn't ‘rude’ or ‘not socialising’ etc, it’s where he feels most at peace. He can go into the virtual world that he understands better than the noisy complicated world that we live in. Animals are my son's best friend in respect of positive affirmations while learning to cope in social situations. Building and sustaining peer friendships has been a historical challenge. Animals, however, hold no expectations, make no demands and are not derogatory like humans can be. The relationship is unique, a bond which is a joy to witness in this long lonely journey of acceptance, understanding and awareness. The thing I wish people knew about autism ... just to understand that not all kids on the spectrum are the same, and not to say he doesn't look autistic. My son struggles with lots of things but he also achieves lots too. We have been hit with ignorance from neighbours and their kids and we have tried to explain things but it made no difference. They didn't want their kids playing with my son. That makes me sad. 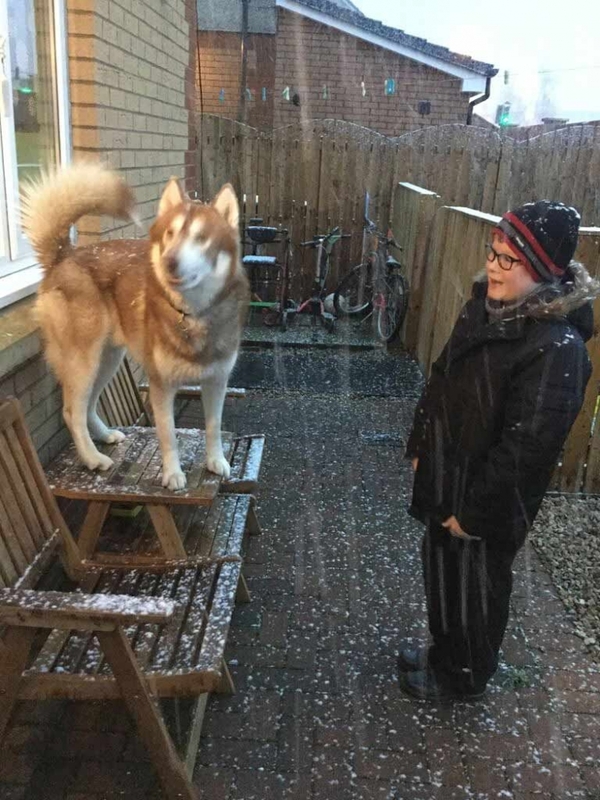 This is a picture of my son Stephen with his bestest friend, his Siberian husky, Juno. Seeing the two of them together makes me happy, as I know Stephen is happy when Juno is around. 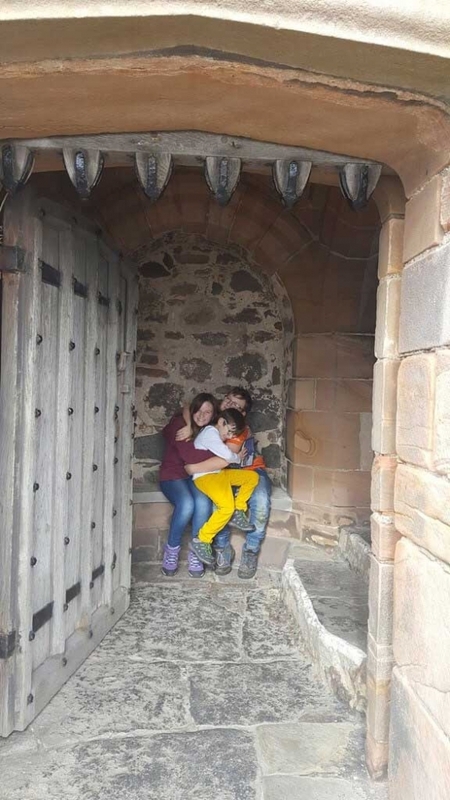 I have brought my two sons Daniel and Matthew up by myself with little support other than that Scottish Autism has given me. 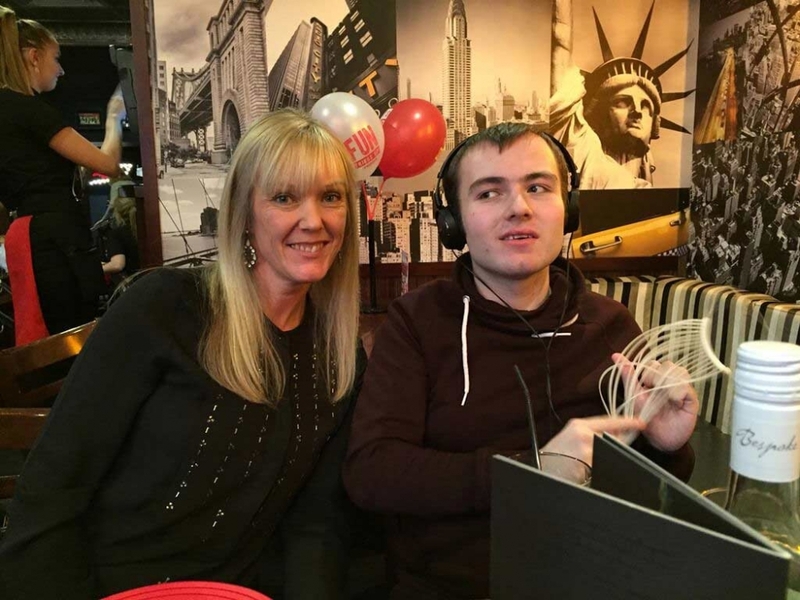 Matthew is 19, profoundly autistic and very challenging and he is non-verbal. His brother Daniel, who is 21, is the best brother Matthew could have. He is supportive to me and helps me when Matthew comes home as Matthew can be quite aggressive and self-injurious due to frustration and inability to communicate. 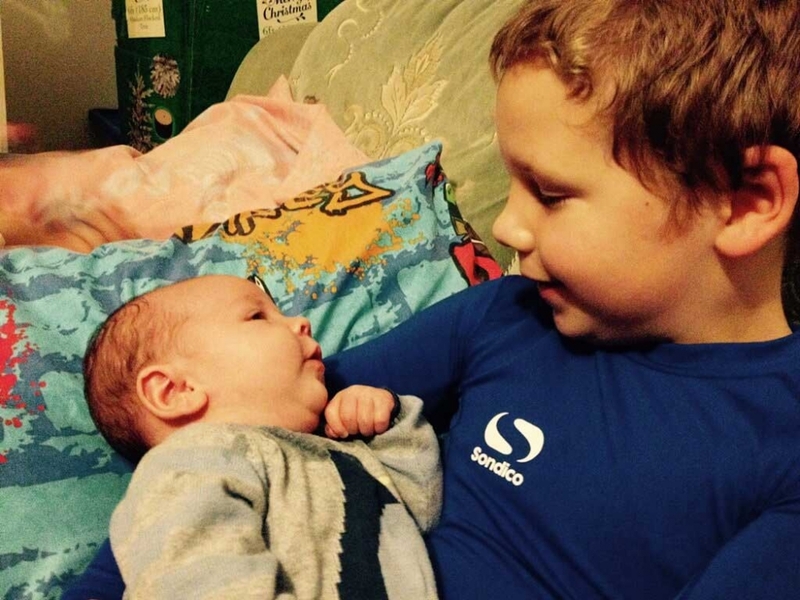 Daniel and Matthew love each other and Daniel has such a close bond with his little brother. He makes Matthew smile and cares for him. 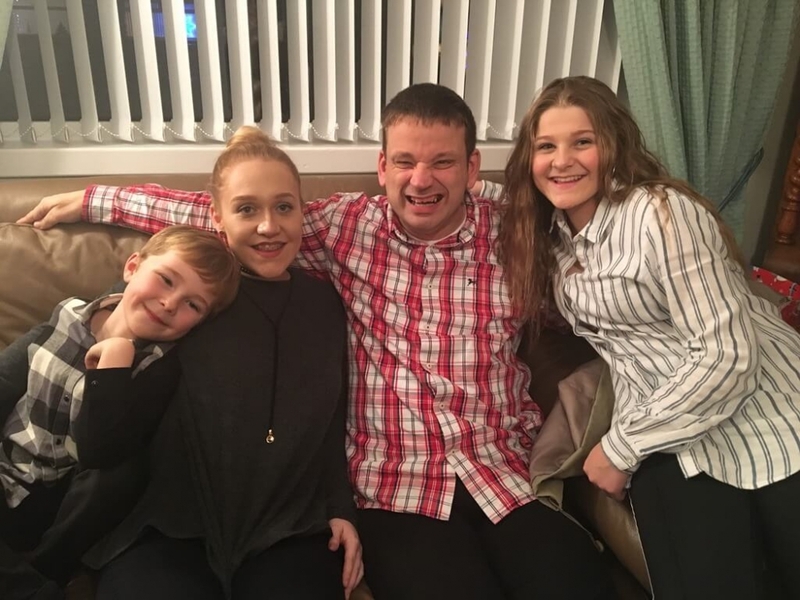 He is his protective sibling although Daniel's life has been full of challenges as a sibling of someone with autism. Daniel is now a student mental health nurse although is working towards going to medical school. Being a lifelong carer has given him a maturity that others his age lack. I adore both my sons and am very proud of them both. 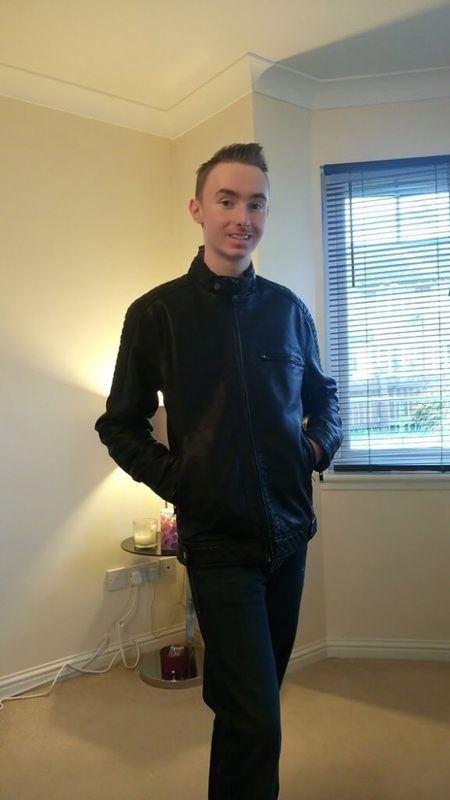 Matthew was at New Struan School and is now at New Ridgepark where the staff support him to have an independent life. We have moved to within half a mile of New Ridgepark so we can bring Matthew home as much as possible. We love him. Instead of focusing on what she can't do, we encourage growth and development in what she can do. By limiting frustration we create a happy environment for her to thrive. Autism isn't a label to alienate a child, it's just an extra hurdle on our journey. 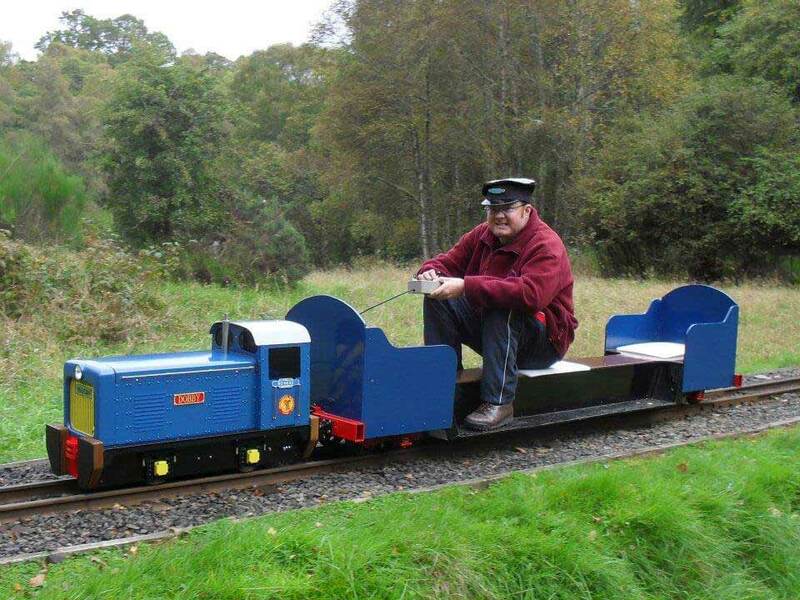 My adult son Peter enjoys driving our miniature electric locomotive, and is well accepted by folk at the railway club, as elsewhere. Endears himself to almost everyone he meets, and likes to be with people; also happy to go new places and try new things. 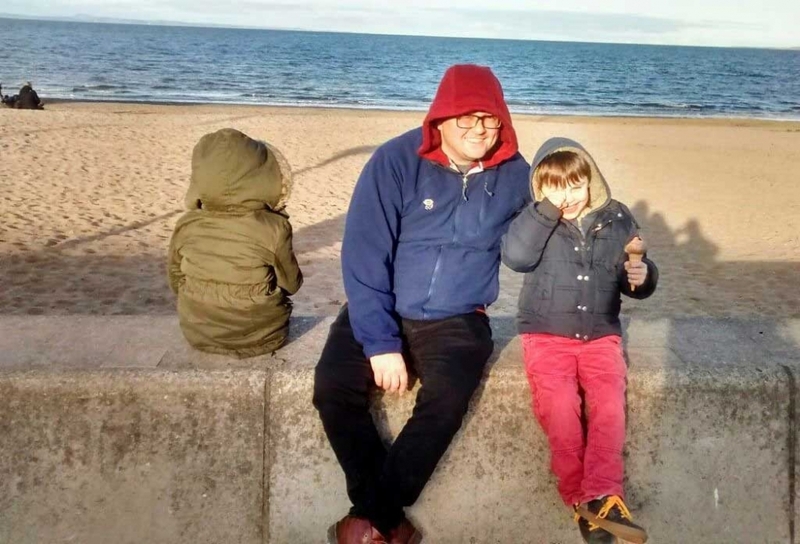 He has quite a rich and varied lifestyle, through Scottish Autism and family. But cannot express feelings or opinions (depends entirely on how the question is asked! ), so extremely difficult to know what he's thinking. His speech impediment, dyspraxia and learning difficulties are also challenging. Autism is far more diverse than most people realise, and this is just one snapshot of one individual. My name is David Milne. I have autism and was diagnosed when I was 5, although my mum knew when I was about 2. I am a very happy boy who has lots of hobbies these include going on train journeys, going on holiday and also going to the car boot sales. My mum had a terrible time getting me to my local high school and getting the correct educational package that I needed. This is a photograph of my beautiful daughters Gemma and Lisa. It was taken on the day of Lisa's College Graduation. It was an extremely proud day for my husband and I, firstly because we were there, watching Lisa as she experienced a graduation. And secondly that her sister Gemma was also able to share this experience and that she coped with all the hustle and bustle of the day. I personally never imagined that I would see a day like this. 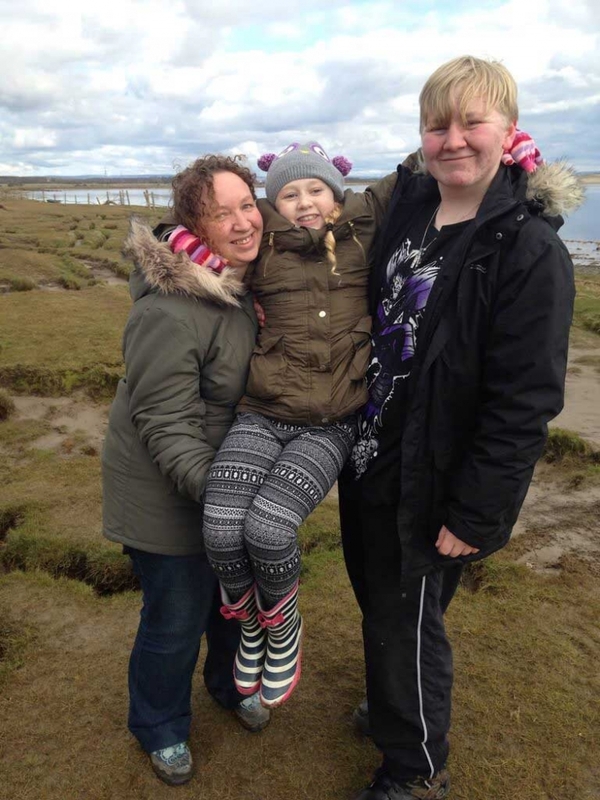 It was a sad day, the day that Gemma was diagnosed as being on the Autistic Spectrum, and it was an even sadder day the day that Lisa was diagnosed as being on the Autistic Spectrum, just over a year after Gemma. 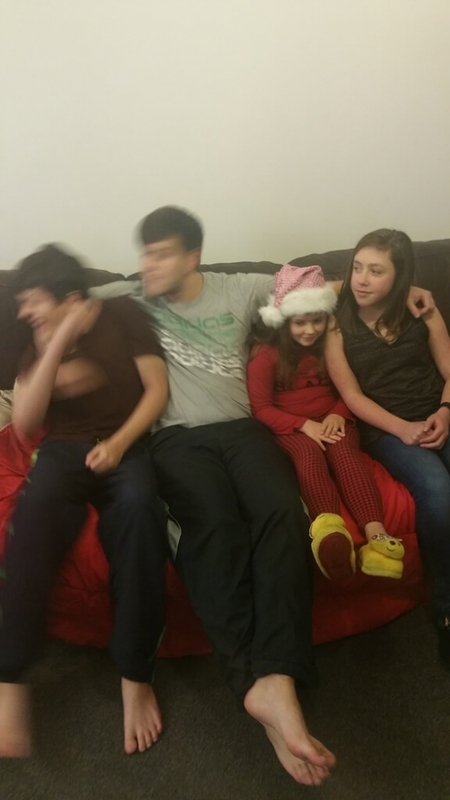 Who would guess looking at Lisa in this photograph that she has autism? Many people may think that there is something amiss with Gemma, but never Lisa, standing there looking so confident in her graduation gown. Both Gemma and Lisa have had to overcome many obstacles to get to where they are now. I would like to think it has helped that we have never hidden their autism, but have encouraged them both to accept who they are and go out there and show everyone else who they are. They are young women with a future in front of them. I happen to have Asperger’s Syndrome. I am more than a middle aged male on the autistic spectrum. Don’t judge me on my label, everyone is different in one way or another. I don’t like being referred to as high functioning ASD, a person with ASD, an Asperger’s sufferer, someone on the autism spectrum or a person with mild autism. I actually prefer Gwyn Malcolm BSc (Podiatry) MChS. Proud to be a Pod. I like to sit on the wall, repeat in speech what I touch, see or hear. Definitions of normality vary by person, time, place and situation. Normal behaviours are often seen as good while abnormality is seen as bad. 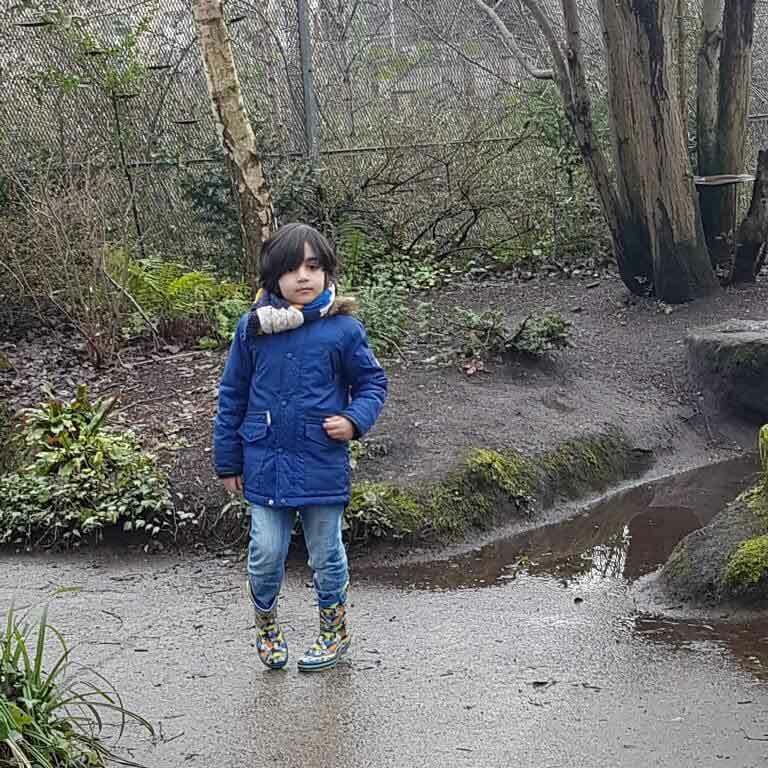 I am only 4 years old and the past two years I have been stigmatised and excluded by society. Why? Because I have autism. Terrified and unable to simply say. You just want to scream and shout. "Can someone just see me please!" Not for people to stop and stare. Could you deal with the fears and anxieties? Or would you curl up on the floor? Not misunderstood and left out instead. How do you help when no words are spoken? Pick up the pieces when they are broken. To help our children to succeed. Finally, after four years of being told "he'll grow out of it" our son was diagnosed with Autism Spectrum Disorder. Now 12 years old he still finds verbal communication and social interaction difficult and has sensory issues too. With more awareness and understanding hopefully our son, and others like him, will be able to feel part of their community and enjoy life. People need to accept that it is ok to be different and not judge others who are. This is our daughter Cameron; she is one of seven in our family. 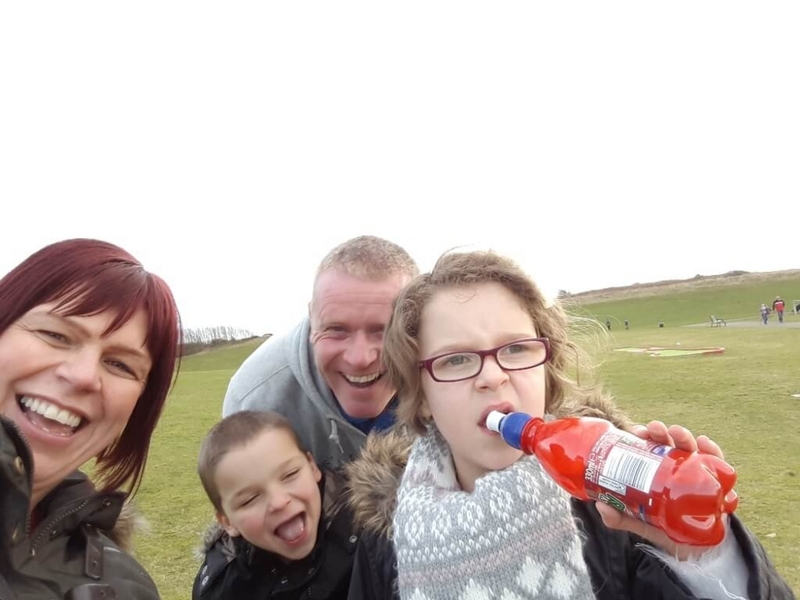 We knew from when she was younger that she was different to her siblings, we fought to get her diagnosed and it took two attempts and then finally she was diagnosed on the autism spectrum. When you look at Cameron you wouldn't know that she has autism and that's the problem, that people don't realise it's a hidden disability. She loves musicals and her favourites are Grease and Mamma Mia, she knows every word. We are so proud of her. People need to know more about autism, especially in girls, and schools need to be taught more about it too. 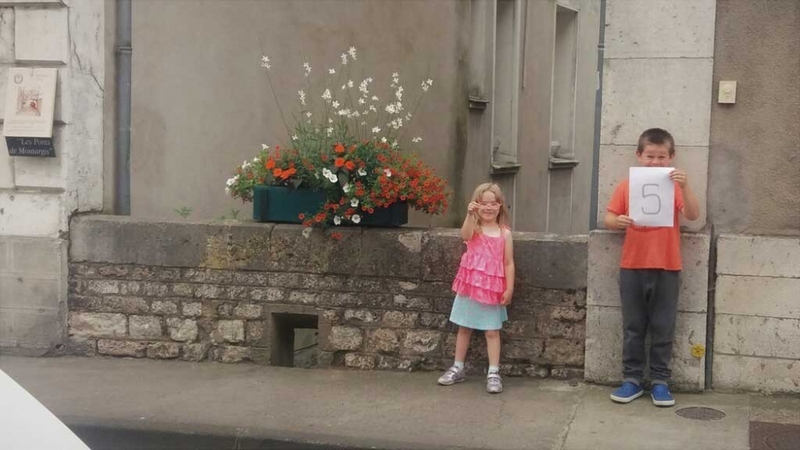 When we were on holiday in France last summer, we visited Montargis to do a self-directed walking tour of some of the 121 bridges in the town. Struan loves bridges and he also loves numbers so before we visited, he and his sister wrote big numbers on sheets of paper. A bit of negotiation was involved in this as Struan wanted to write all the numbers himself. He struggles with sharing but he compromised on writing the odd numbers (which meant he wrote one number more!) and Sally wrote the even ones. I was going to catalogue each bridge we found along the route. The kids loved finding all the tiny bridges and crossings among the grander structures and at one point had a great run around in a picturesque ancient square. Half-way round though, Struan decided to jump backwards up onto the railings of the highest bridge there was on the walk. I try to keep a good eye on him as he has a very limited sense of danger and can act impulsively but this took me completely by surprise so I let out a horrified scream! 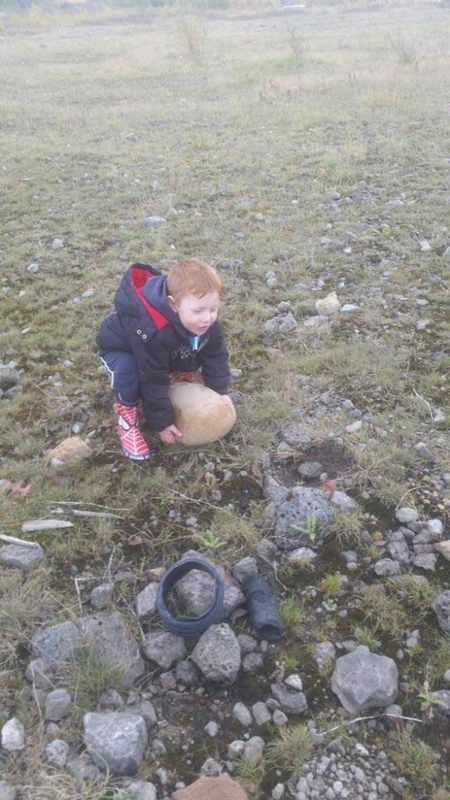 This in turn upset Struan so it took a while to calm him down and reassure him before we carried on again. Overall, though, we had a lovely family time that day, walking, skipping and running around this beautiful old town. 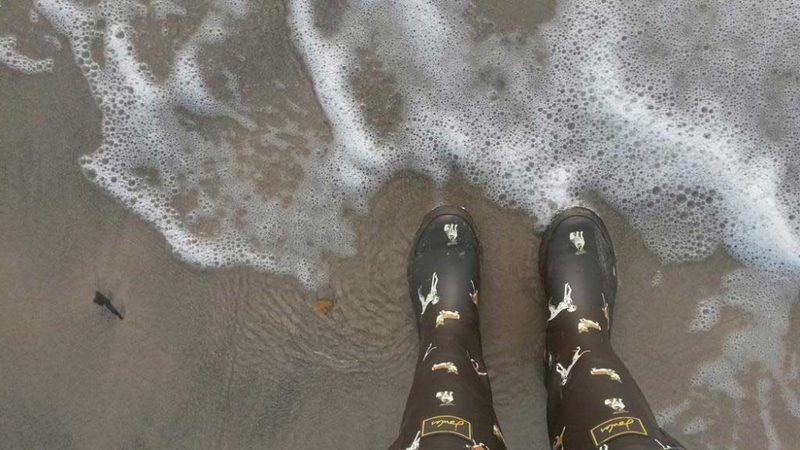 This photo was taken at Burntisland and the tide had gone out. Fraser paddled out some way with dad and I close behind him. 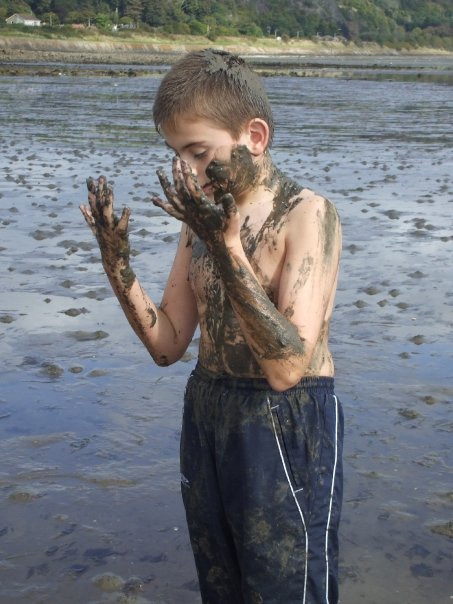 He was wearing a lovely white t-shirt with his shorts and before we knew it he began rolling around in the wet sand and dropping it over his head. We were mortified and could feel all the stares from other people on the beach. 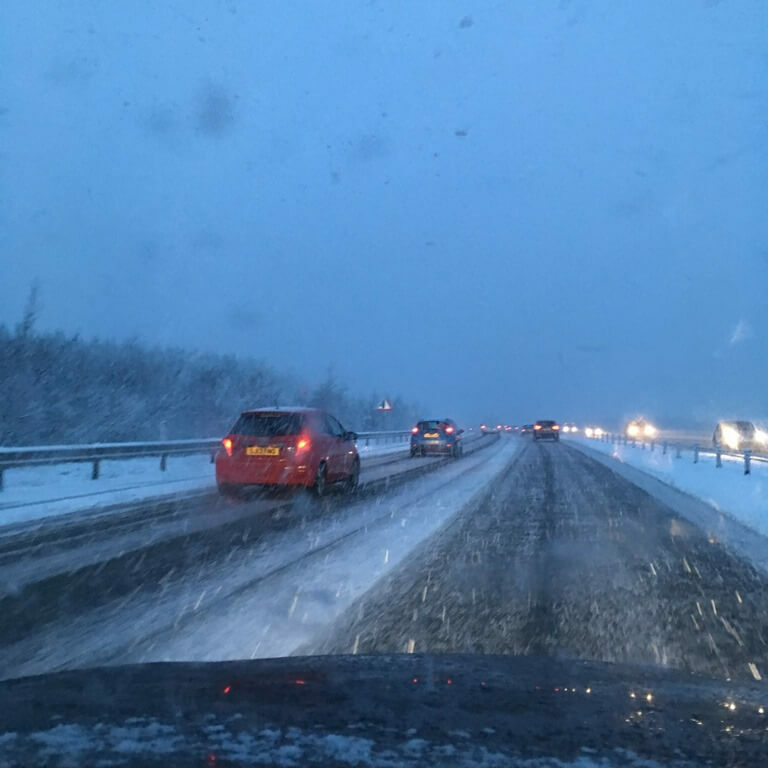 Thank goodness I had packed a change of clothes!! Fraser was 11 years old when this was taken. He is now 18 and still loves the beach! 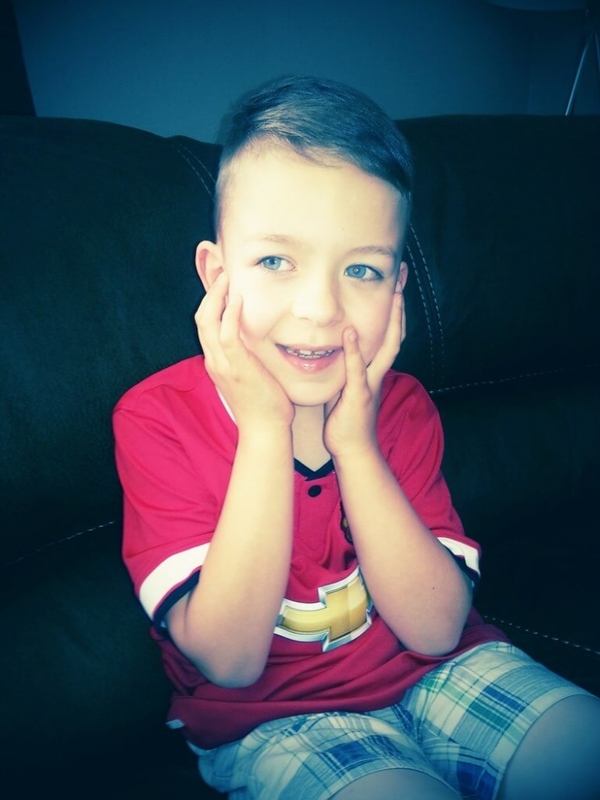 My son, Alfie, was diagnosed with autism at age 2. Although he is non-verbal, we can always tell what makes him most happy and it is usually when he is playing outside. 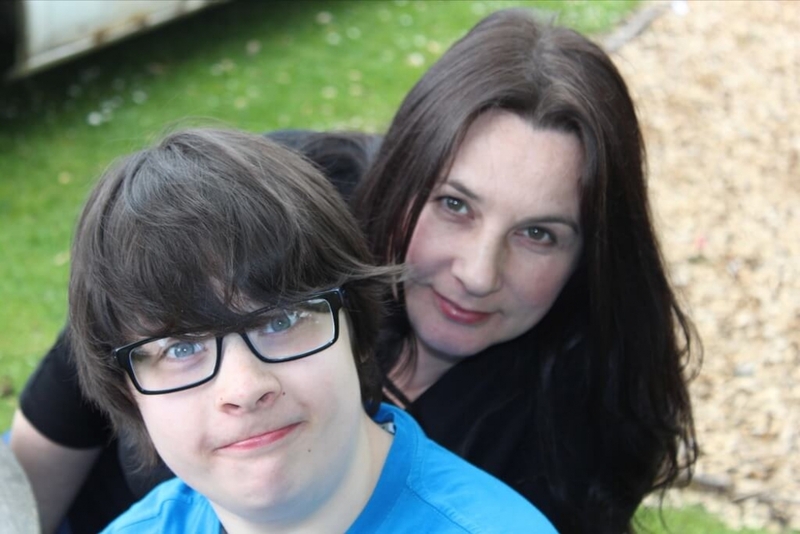 Dylan is 13 and we have ‘officially’ had autism in our family since he was diagnosed aged 7. At first it was a way for us to explain our ‘problems’ and what we saw as Dylan’s ‘differences’ to each other, to family members and to outsiders. Now, autism is so much more and has become a constantly evolving process which often, for us, goes against the rigid stereotypes it purports. Isn’t only about the routines but the surprises. Of our son not wanting to swim in the lake for days and then appearing from the tent one morning and running down to the water. Is not only about meltdowns but make ups. Of all our children, Dylan is the one that will not sulk, or hold a grudge. He apologises, makes friends and moves on. Is often more sociable than the rest of his family. When we tired of his 15th game of Uno on the beach he approached a Croatian family and played with them for the rest of the afternoon. We wish people knew that we don’t ever hope that one day Dylan will not have autism. It is part of who he is, who he was and who he will always be. Every time I tell someone that I am autistic, they find it amazing that I can hold up a career. I work six days a week. I love working. I have found that my autistic traits are a benefit in the work place with my memory being a great asset, and my ‘thing’ about postcodes is always a handy little help when doing filing. Autism is something I see as a handy little super power, instead of a detrimental factor. But mostly, I am normal just like everyone else. This is my son, diagnosed with autism, with his 6 month old puppy that is in training to be his Assistance Dog. 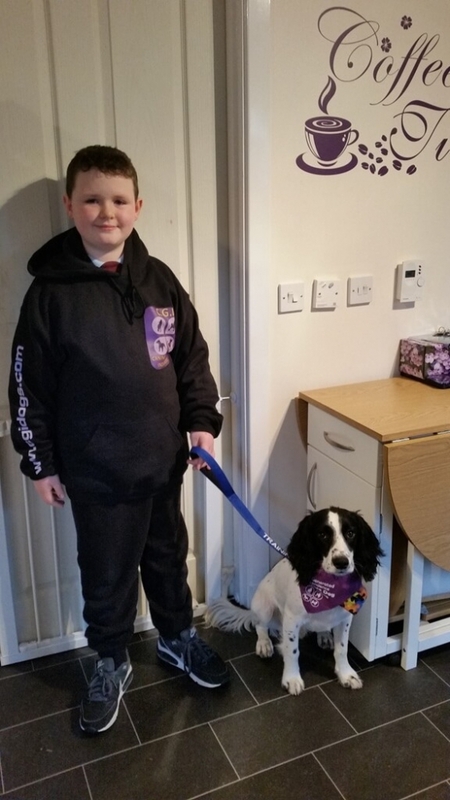 Not only will his dog help with the Absence Seizures he has but he also gives Intensive Interaction through play. Training also includes tracking my son as he likes to go walk about, Road Safety Awareness as he has no awareness of dangers and training in stranger danger. 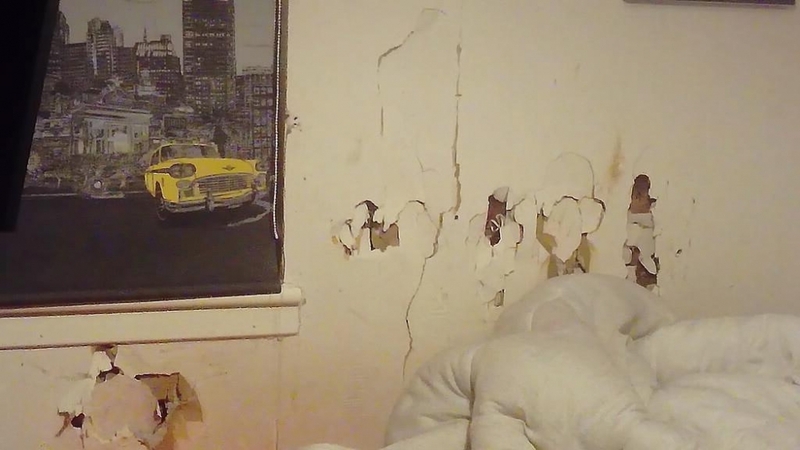 This is my spare room and is crammed with things to clean and restore to try and earn some money to supplement my meagre disability PIP income. I have two automatic electric beds to clean and repair and bought two new basic mattresses. 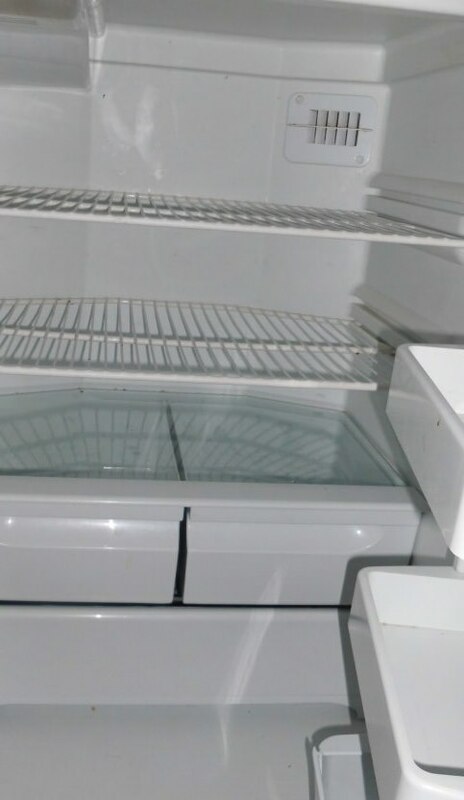 Also a fridge freezer. I got all of these free from a well-known free stuff website. All else are boxes collected to post eBay items which are stored at the back of the beds. I also collect antiques and collectables and if I have no money I sell my belongings. When I have some work or money I buy stock over food. I buy reduced food and hunt and gather at supermarkets when they put 10p stickers on the food late at night and into my freezer it goes. I have zero support for my High Functioning Autism Spectrum Disorder as I am judged by my peers as not disabled enough. If only they could live a week in my shoes. Recently a pharmacist, likely driven by village gossip, called my GP with concerns over my mental health. I was in meltdown due to a bereavement and only asked for ‘sleep aids’. My GP thought it was so OTT he breached the pharmacists confidence and I am in a legal process with a big chain chemist... Life is hard. My daughter is so full of love, people sometimes think she has no emotions and can't form bonds. In fact, I think she feels emotions much more deeply than I do, sometimes emotions just overwhelm her. The strength of bond between her and her little sister is very special. They both support each other and love each other unconditionally. I am so proud of them both. 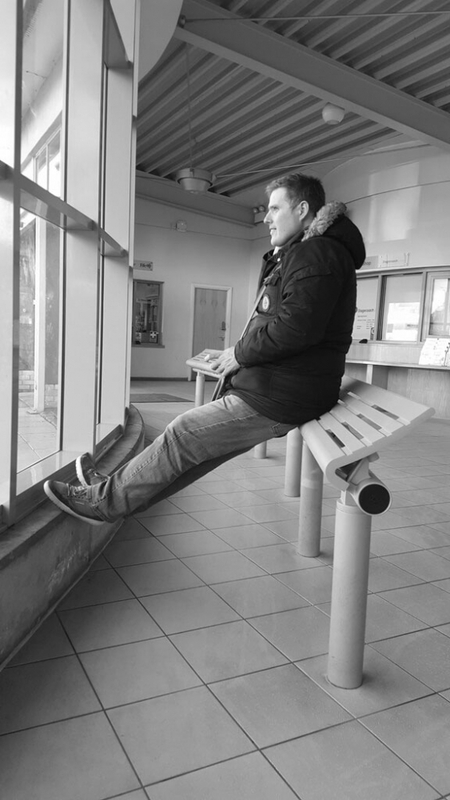 This is a photo of my adult son who was diagnosed with childhood autism when he was 25, he is now 39. Before diagnosis he was socially isolated as he didn't make friendships or get involved in any activities. 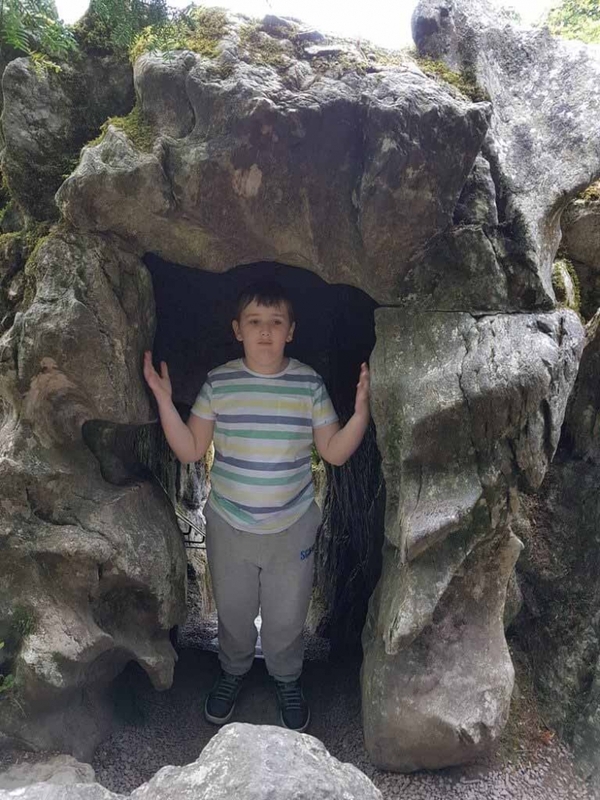 Since diagnosis he has got involved in numerous pastimes, musical groups, social outings, walking groups etc, all thanks to his local Autism Resource Centre. 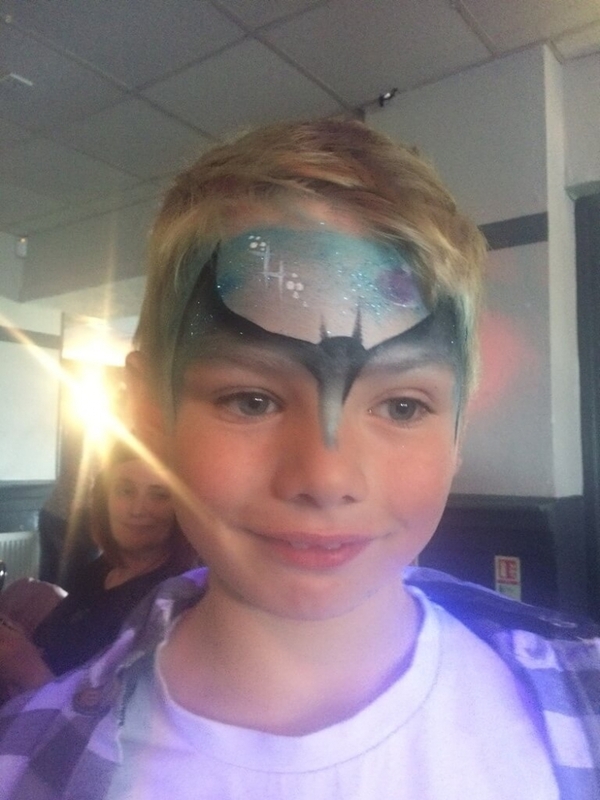 He is now so much more confident and happy; he is outgoing and has made loads of friends. Caleb sometimes just needs his own space. To you it might be a mess but to Caleb it's much more. I prefer to be out in the open than to go to crowded places. 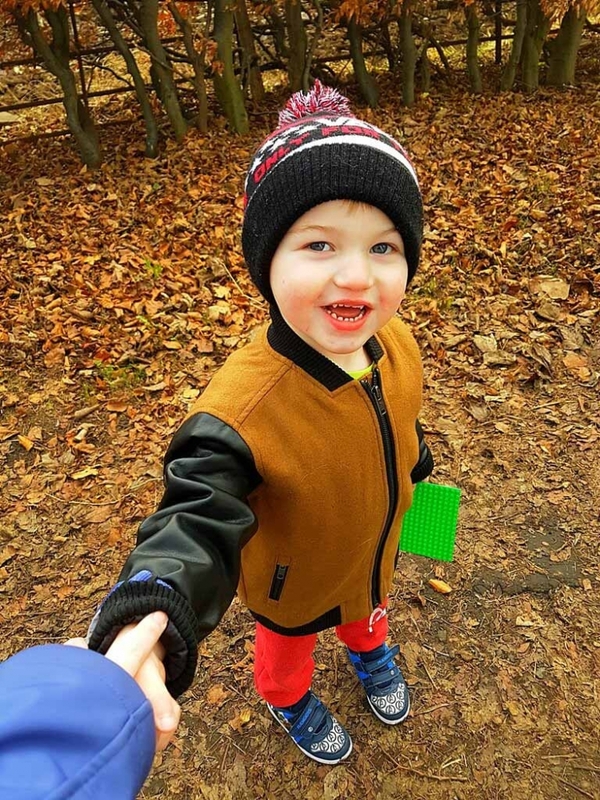 My son has hypermobility in his legs so we like to go for walks over at the local estate with his sister and daddy when he's not at work, to try and build up his muscles. 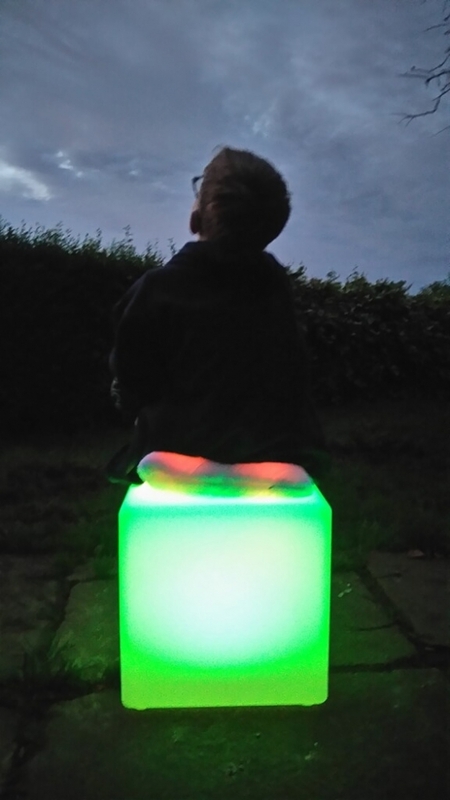 He loves it a lot and is a sensory seeker but his little legs get tired really quickly and he gets upset if he can't walk any further. It's heart-breaking to watch him have a meltdown because he can't physically do something, but the smile we get in that short time that he's OK is worth it. This is me, I am different, but so are we all. Different hair, different skin, different accents, different nationalities, different religions. Well, I have a different brain. I see all the beauty in every detail of everything everyday. I want acceptance as much as the next person. It is OK to be different. Variety is the spice of life. This is my son Martin, he is 13 and was recently diagnosed with Asperger’s Syndrome. I thought this image was poignant as it is him coming out of the darkness into the light. (He has always struggled with not knowing why he was how he was, to now having a diagnosis which helped him understand himself more). 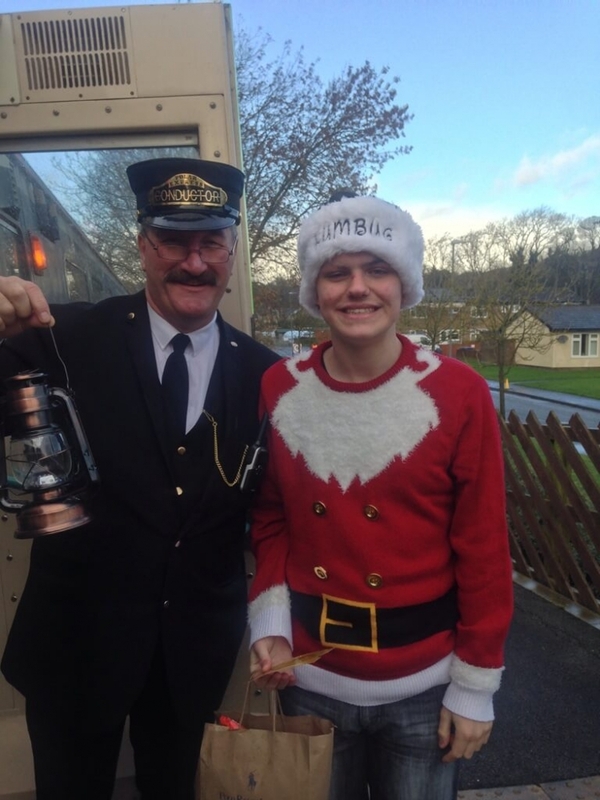 He was only diagnosed in October last year after battling to be assessed for just over a year. He is now more settled at school, he understands himself better and can now tell people when he needs time to himself to wind down. My name’s Kayla. I enjoyed spending time on the big play bus at HOPE for Autism. Today we raised awareness by having our Blue Balloon event, I'm so proud of myself for taking part and meeting new people. This is my 11 year old son Oden who was diagnosed with Asperger’s when he was 9. His everyday life is having his earphones in either listening to music or watching something so it blocks out everything else around him. This is my grandson Deacon. He has autism and does not talk at all but we as a family know he is fine with the huge smile he has on in all of his photos. As you will see this is his first day at school and his smile would light up the sky. He is such a happy boy and we love him so much. Days can be very difficult with moods but this smile just makes our lives so happy to know he is happy. This is my little girl. She has many obsessions when it comes to repeating things or she will just start to do something like this in the enclosed photograph... As you can see the floor was clear when she started. 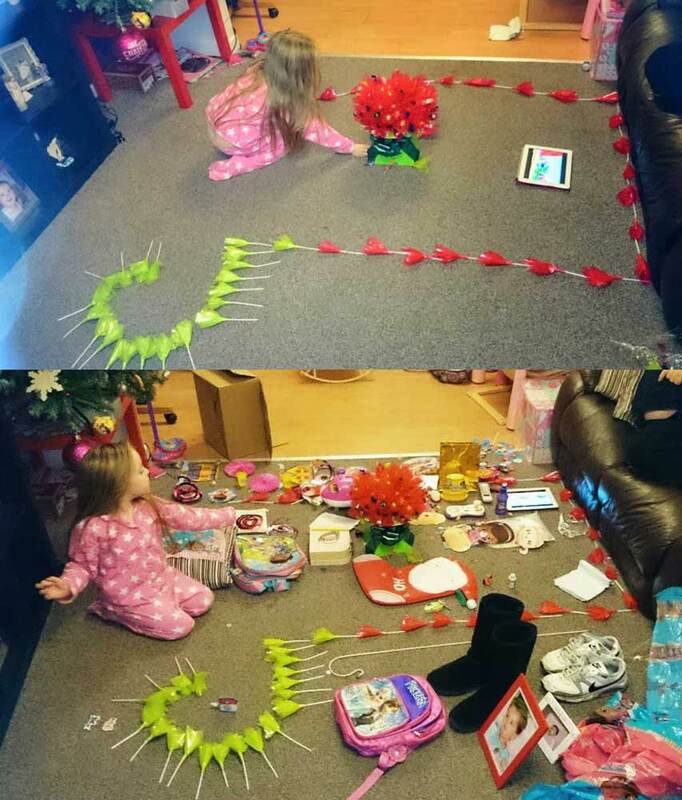 She got hold of a sweetie bouquet we were given at Christmas and this is how it started. She began adding things to it, anything she could get her hands on until she came to her completed work of art. I needed my boots so I put them on... This really distressed her; I promised I would put them back. We tried to tidy it up by taking a little piece away at a time but she became really upset and distressed and she would notice the tiniest difference. This is something that is really common with her. To us, it was just a mess but to her, it made sense. It was something very important to her. This is my 10 year old daughter Sara. She was diagnosed with Asperger’s when she was 7 years old. 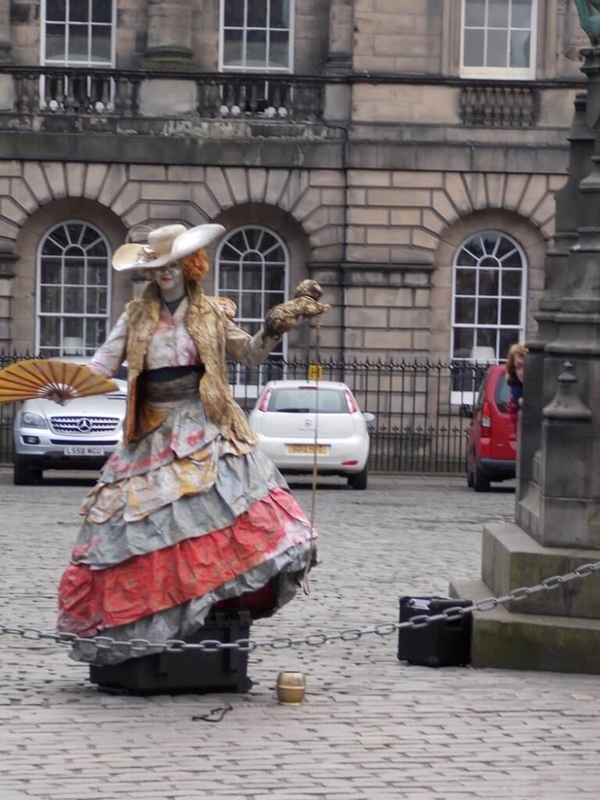 Before her diagnosis she was struggling to realise her own identity. 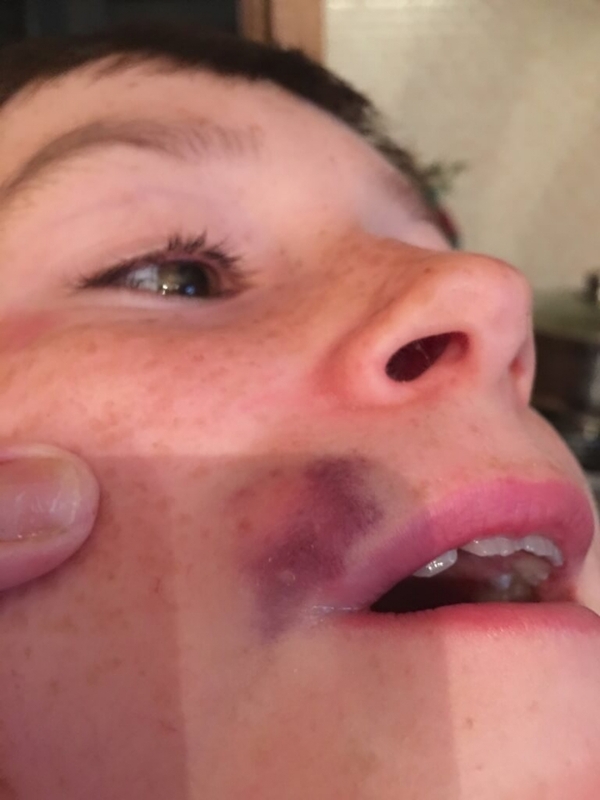 The ignorance of a teacher made this worse and she was called a bully by him and excluded from the other children who also bullied her and ran away from her. We would both cry together but I would make sure she remained confident about herself. I wish people knew the heartache she went through at school... After her diagnosis she was a brand new child, she became the most confident and empathetic child towards people and children (especially those who have special needs) and she adores babies... She has her good and bad days when she can call me names or have a meltdown. However, she is very creative, loves baking and she is extremely funny. She has a few close friends at school now who accept who she is and I love her. When she grows up she wants to be a scientist and inventor. Life is amazing with Sara and I love that she is unique and has more of a grasp of the real world than most. She is also very honest and will tell you the truth. I wish society would learn to accept differences and embrace the fact that we are unique creatures. Never be ashamed of who you are. You see all these professionally taken images all over social media with every adult or child polished, dressed to kill and representing the ideal family... well THIS is what every single group photo looks like in our household. Still all gorgeous though. This is a photo of a mother and son; we're like any other mother and son. We love each other, do things together and have fun. Take another look because you can't see that my 13 year old son has high functioning autism, ADHD and general anxiety disorder. He struggles in mainstream school, especially since starting high school, and so we've taken him out of mainstream and he is in Enhanced Provision classes. He gets anxious, upset and tearful which can lead to meltdowns. 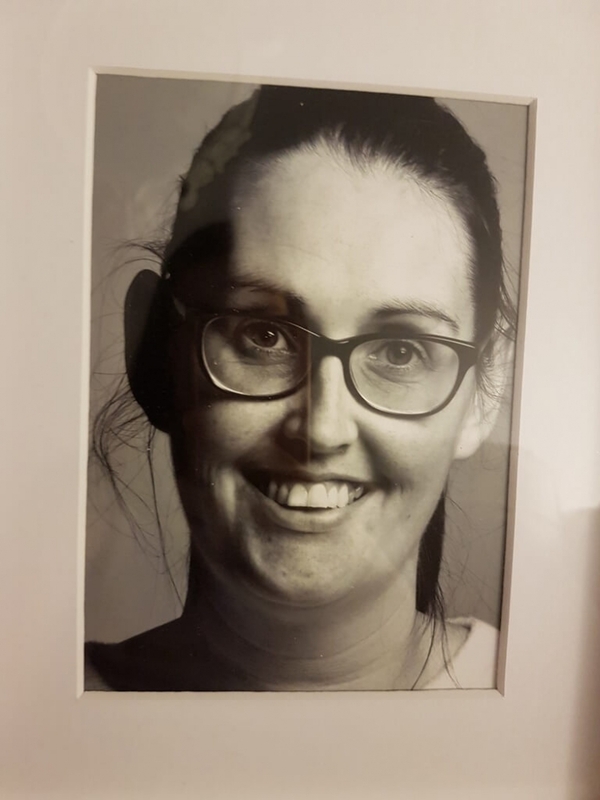 Now take a look at me, a loving single mother, a carer and somebody who's given up her career and her life to look after her son. Then take another look, a woman who last year aged 50 was diagnosed as having Asperger's Syndrome. 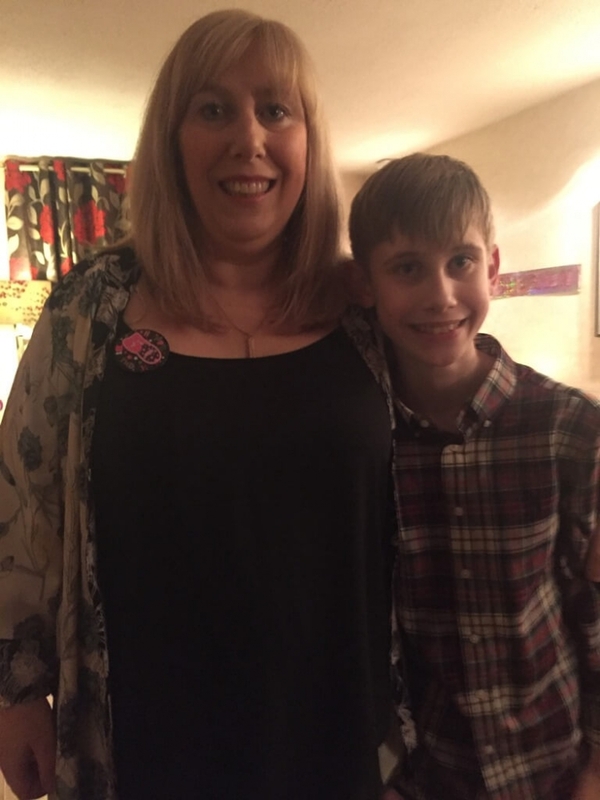 So I am a person with autism, and a parent/carer of a son with autism. So take a last look at my photo and tell me what you see. Hearts and minds broken daily, like the furniture and walls. I would love to play with him but get told "go away", my heart heavy with sadness, I love my brother dear. My body aches, the blood pours out, "attacked again Mum" I mouth out. Such a lonely place my room, friends don’t play there. Our doors closed and locked, I'm a prisoner in a cell block. I would love to play with friends at home, but autism's anger means I’m alone. I look out on my garden and imagine it to be full of fun but it's empty, just like me. I wish I could wake up one day without hearing his screams, instead just cuddle mum and talk about our dreams. I did think it was normal for all to hit me, like my brother does you see, so became a punchbag among ‘friends’ since the age of 3. Helena, my sister, her cuddles are the best, my sadness and hers bring pain, just different, not less. I love to watch her on stage, happy and full of grace. I always arrive excited, hoping for the best but leave tears blinding me and again my face a bloody mess. I hope one day to be the child I am, to escape the beatings, bad words and ringing in my ears with skin always stinging from daily cuts and tears. My brother, age 8, has autism you see, but nobody helps, believes or wants to see; our hearts are broken, fragile, not free, though I pray for peace in our home one day you see. Having mild Asperger’s Syndrome has made me incredibly driven, focused, and hardworking. I've had to work twice as hard as others to get where I am as a Digital Consultant and Fundraiser, and am proud to make a real difference to some truly amazing charities in Scotland. I always strive to do things that challenge me, so last year - my thirtieth - I decided to do one thing every month that I was scared of. 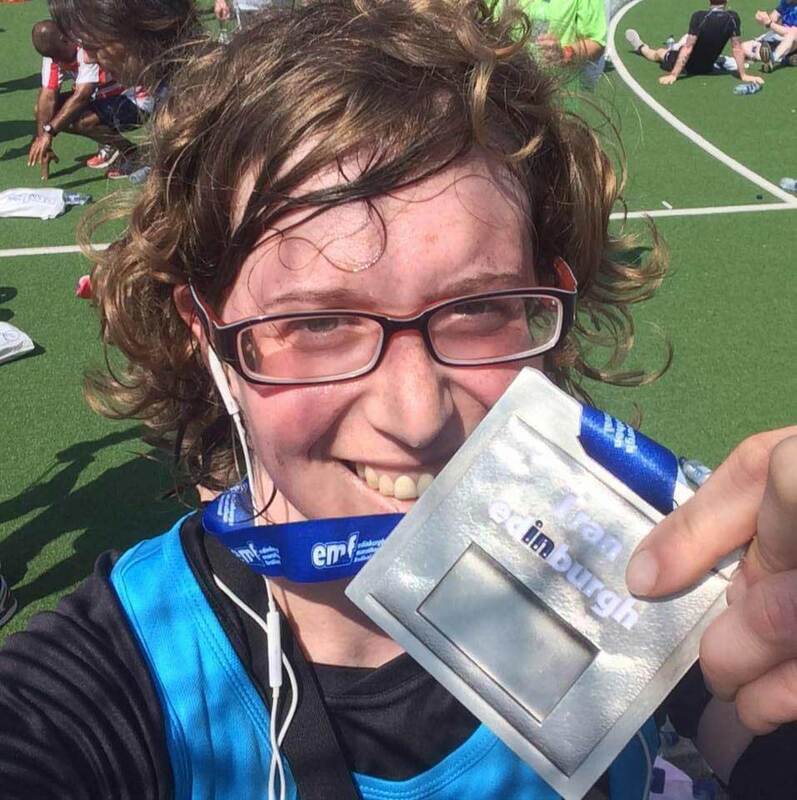 This is a selfie taken after my first ever organised race, the Edinburgh Marathon Relay. Despite being reasonably fit, I was concerned that it would be too overwhelming: the noise; all the people; the fact that it was simply 'new'. But I loved it, and am now pushing myself further by training for my first half marathon in May. My message to other people with autism is don't let anyone tell you that you can't. Because you can, and you will. 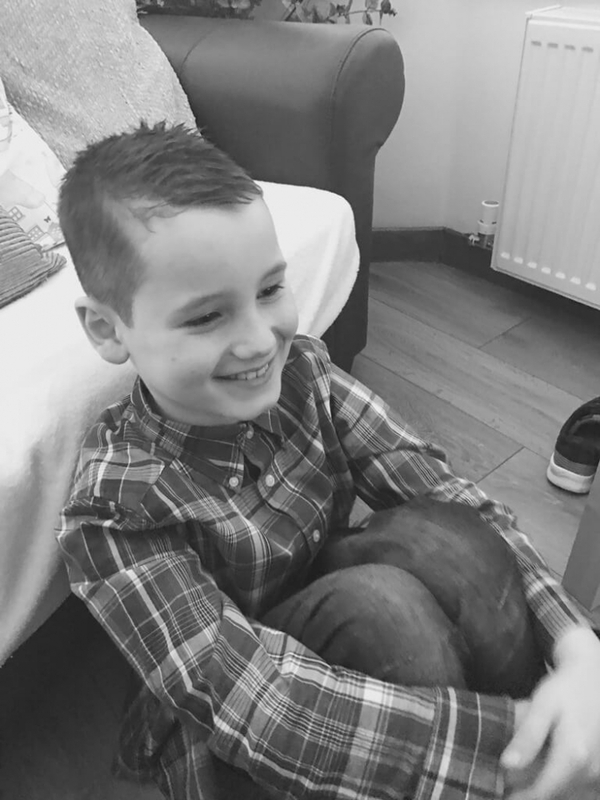 My son Euan was diagnosed with autism at 2 years 10 months old. He has always found social outings very difficult. As he has matured, he has learned coping strategies in difficult situations. This photo shows Euan on his 18th birthday, having a family dinner in a restaurant. He has his headphones on playing his familiar CDs, happy and relaxed and enjoying his day. I hope this gives others hope, as for years we would never have thought that we could eat out as a family. My son is in mainstream school, the fact that he isn't coping seems to be irrelevant as he ‘behaves’ while he is there. Tracking report says ‘polite child, well behaved, well-mannered and helpful’, what they fail to acknowledge is that they try to make him fit the education box, rather than education fitting him. Explosive rages when he comes home, when the lid comes off the fizzy juice bottle they have shaken all day. My polite, considerate, well-mannered teenager at school becomes an unrecognisable ball of total rage creating havoc on anything in his way. A lashing out, punching, kicking six foot teenager who cannot process the school day. Broken walls, and glass, and bruises are left as punches and kicks reign down on me, ‘if he was my husband I would divorce him’... I cannot divorce my son, I wouldn't choose to. I just wish the world could see the vulnerable young man he is when he comes home: fearful, confused, angry, anxious boy caused by their ignorance that, ‘he must be fine as he is fine in school’. In school he knows he has to behave, he won't say no, swear and throw a chair at you; he is drowning in a world he doesn't comprehend and the schools mismanagement of him is making him worse. If only they could see him through my eyes and get a glimpse of who he is when he comes home. 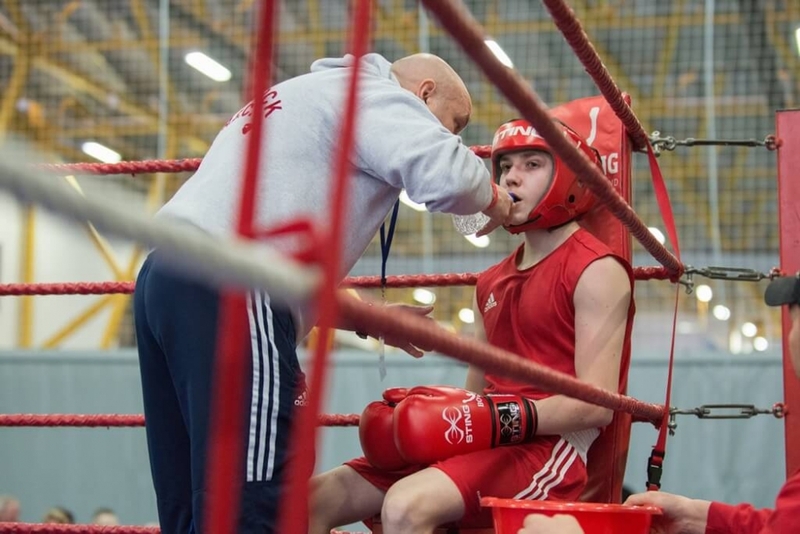 Their well-mannered, polite, helpful pupil becomes my worst nightmare At 6 ft 2”, as he throws punches, I, along with the walls, become the broken, the bruised, with tear stained eyes, hiding what he does, because he is my boy, my son, my child. I wish they could see what I see behind closed doors. My son has been non-verbal autistic since he was 2 years old. 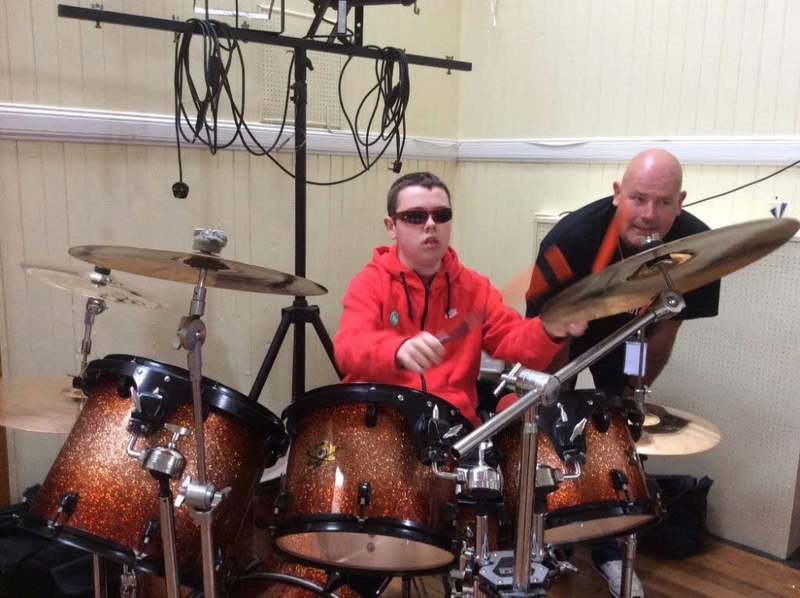 Despite having severe sensitivity to certain noises he can tolerate the sound of the drums! He likes live pop concerts, in fact has been there quite a few times to the SECC in Glasgow. He went there with me and his mum as it seemed to suit him and gave us both a night out! We are not sure not why he has taken a deterioration over the past few years. He is now in a care home, albeit temporary at the moment. 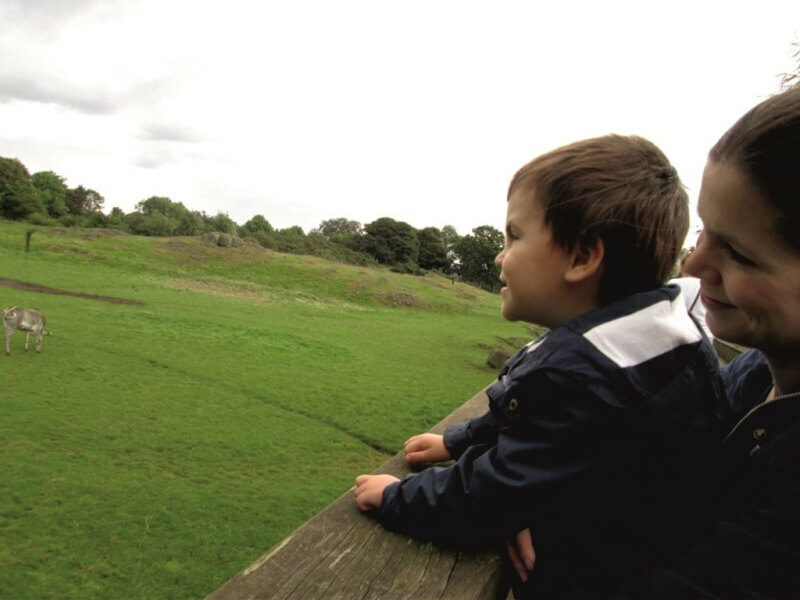 Autism can have different outcomes and they are not always what you expect. For me, human emotions are very difficult to work out and explain... I can play them on the guitar no bother though. Music is my mode of communication, it is how I interact with and interpret the world around me. 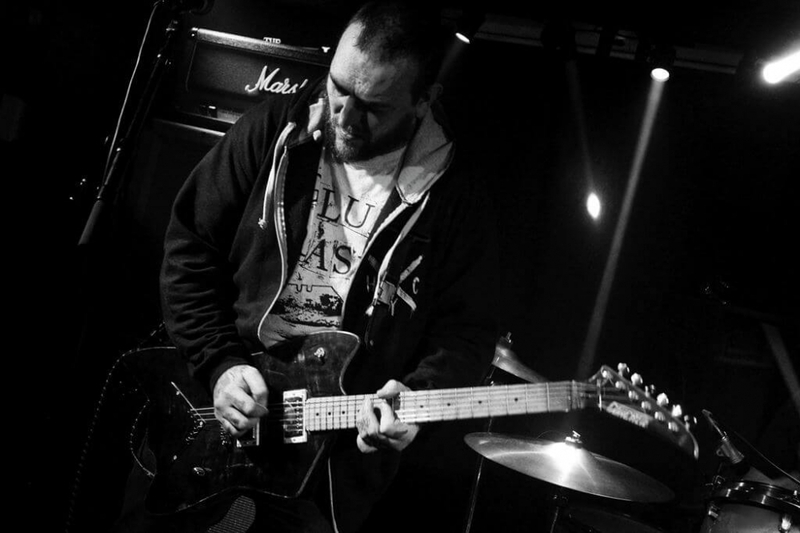 If it wasn't for playing in bands, I would have no link to society at large. 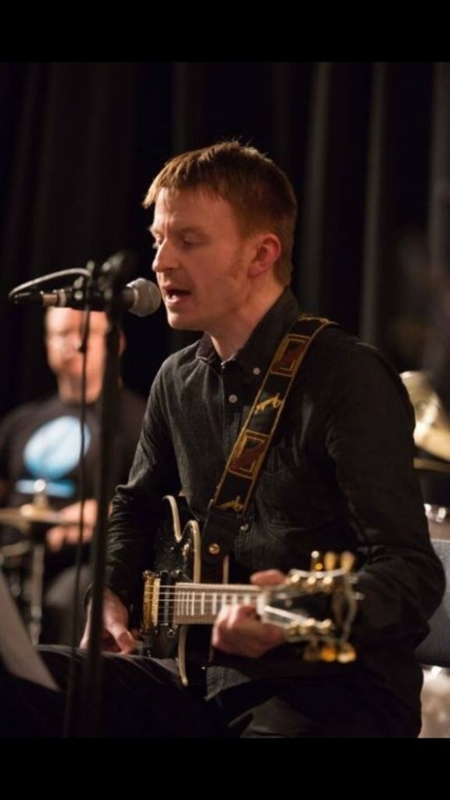 Sometimes people ask me about my guitar solos, they want to know about scales, keys, time signatures etc… I have no traditional musical theory, instead I have chromesthesia, I have my own musical theory based on colour, far too complicated to explain here, suffice to say that it works and is unique to me. I have tourette’s and echolalia, when I was younger these were more severe than they are now and were accompanied by a stammer and rhotacism. Learning to sing as good as stopped all my motor speech issues; it literally gave me a voice. Recently somebody complimented me on my musical achievements, they said I had done amazing despite my autism; I corrected them because everything I have achieved has been so because of my autism. This photo was taken on a day out to Portobello. I really like the photo I took but do find it a little sad at the same time. My husband (Ali) and son (Rudy) happily looking at the camera. Our little girl Poppy, who has autism, is also having a good, happy day but wanted to look at the sea instead. 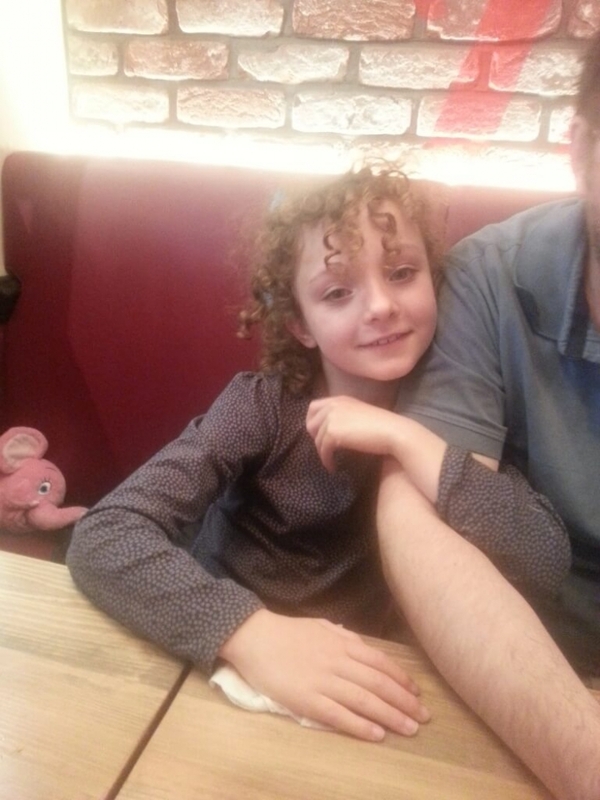 I just think she looks quite isolated even though she is very much part of our family (and that is how autism makes us all feel sometimes). This is my son Daniyal. He is 5 years old and has Autism Spectrum Disorder (ASD). Daniyal has never spoken a word in his life but he completes our lives. He is the most affectionate child. I believe God has given me the most beautiful child. I have full faith that my son will do something amazing in his life. God will never give you more than you can handle. It's our Faith that gets us through the toughest of days. Verily, after hardship, comes ease. This picture is my son who bought this new leather jacket with his birthday monies recently. We are dealing with bullies who say that Asperger’s isn't a disability and constantly he is putting up with horrible digs that he is stupid and not good enough, all from a kid who is meant to be a friend. It’s getting sorted. These kids just want to be accepted, especially when teenagers, they just want to be like every other person! He tries so hard to be a little bit more independent and I'm so proud of who he is; he is the most caring, gentlest of souls. I am NOT a person with autism. I'm autistic. My autistic daughter has given her informed consent for this image to be used. She is competent to know her own mind, as are all children. My job is to connect, protect and teach her to be herself. Not to mould her in the image of ‘normal’. Grieving Mother, there is no High or Low, that fallacy of the market, that divisive deliberation of exploitation made by a tax avoider and a socialite on the back of a glory hound, paid by the alchemists and torturers. There is no normal in the world of the growing mind, the mind that sees that social rules run on lies. The mind will grow as it will, always better in the company of its own kind, but that kind willing to offer aid always, to a mother of its own. Any one of that kind can connect to a thousand years of the same mind, in a moment, online. The division between you and I, the denial of the knowledge of kind, is a construct of commercial minds and meant to cost you, not be kind. The adults who would help online have been through every stage in time - at different speeds, it’s fair to say. “As your child is, we were.” We are able, and entitled, to bring to the table. The voice of anger that you hear is a voice that’s been programmed by fear, and how can one survive? Unless… One finds one’s anger, under duress? The fear you hear, the frantic tone, is fear for a child all alone. Within its family. But as your child is, once were we. 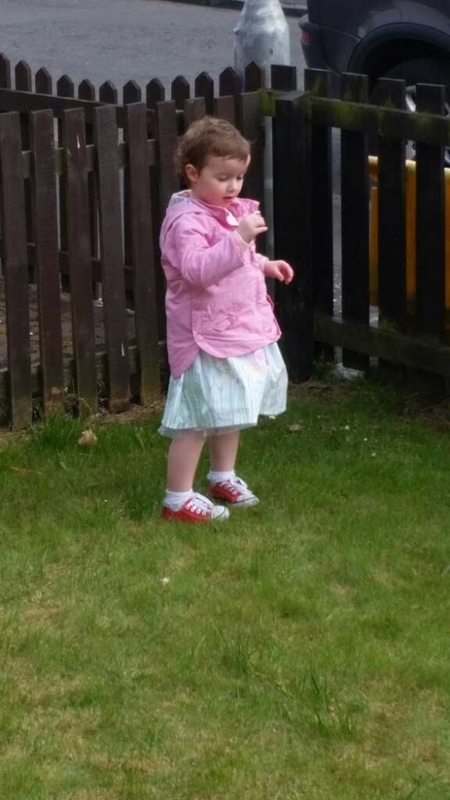 Our wee Ruby is a beautiful, happy girl who has been diagnosed with autism. She is non-verbal but with the help of an amazing therapist, ABA is helping her to communicate and understand the world around her. The hardest part of being a parent to a non-verbal child is when they are crying, pinching, screaming trying to tell you something is wrong but you have no clue and all you can do is cuddle/wrap them tight. 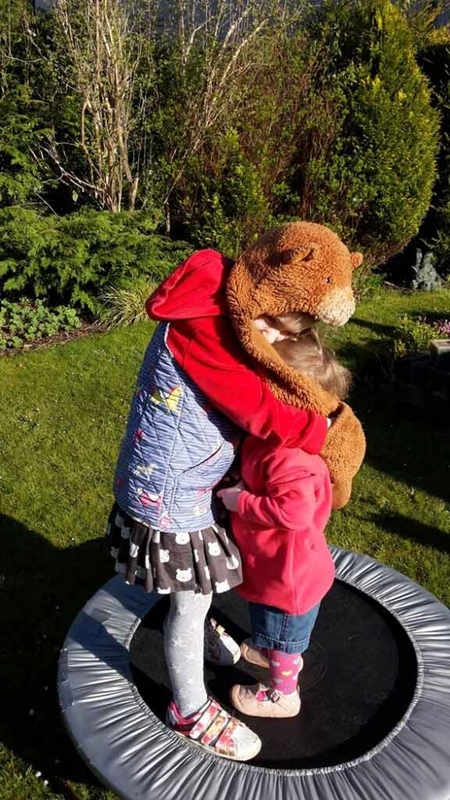 Ruby is such an affectionate wee girl and, as the photograph shows, she may not be able to tell me "mummy I love you" but there are many other ways she does. I live in hope that one day those words will come but until then a squeezy cuddle and a 'big kiss' will do me any time! I find it hard when people are dressed up in costumes because it makes me feel very anxious as I don't know what they are going to do. Also, I find people who come off stage in the theatre difficult as it makes me anxious as I don't know what is going to happen and what they are going to do. 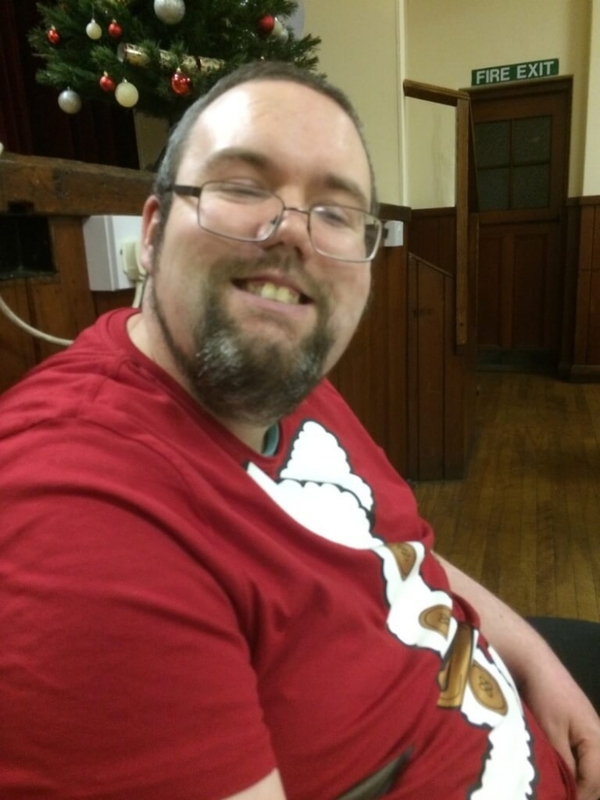 This is Tim MacGillivray, he has a service with Scottish Autism and I'm his Keyworker. I took this photo while we were waiting for our bus. Tim loves buses and trains. When I showed Tim this photo he said "watching the buses turning", this is now the title of the photo. I asked Tim's staff team what words they thought of when looking at the photo. Here's the list - serenity, contentment, happy, relaxed and interested.